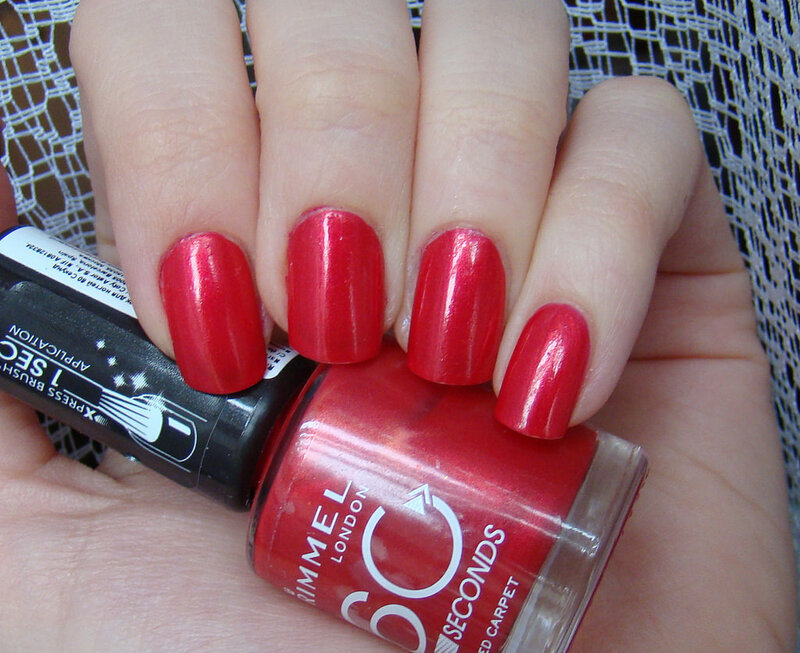 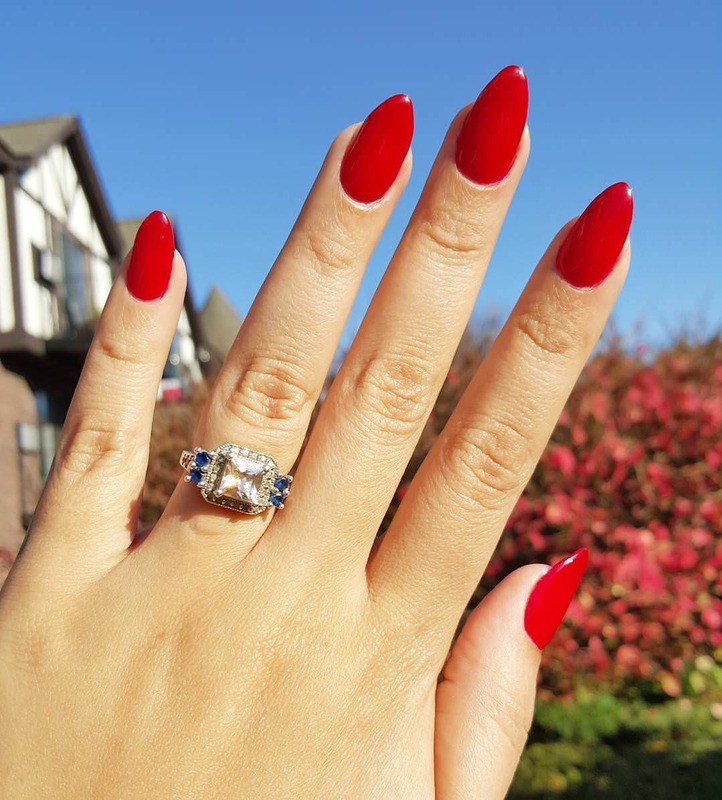 A bold crimson manicure is a classic trend where you can never go wrong. 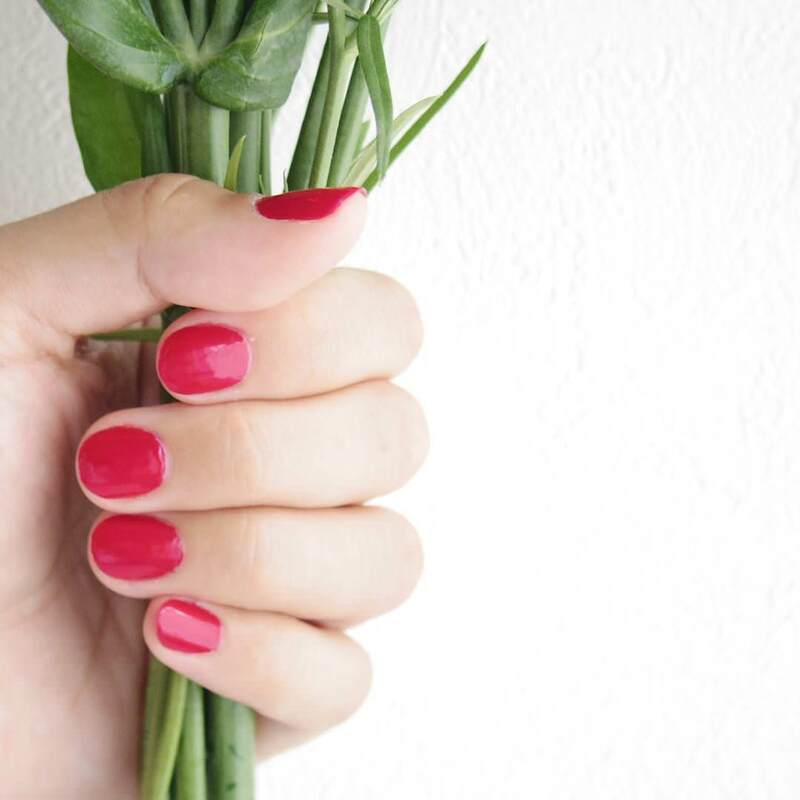 From dramatic blood fire red to fiery poppy or ruby hues, there’s a shade for every individual skin tone. 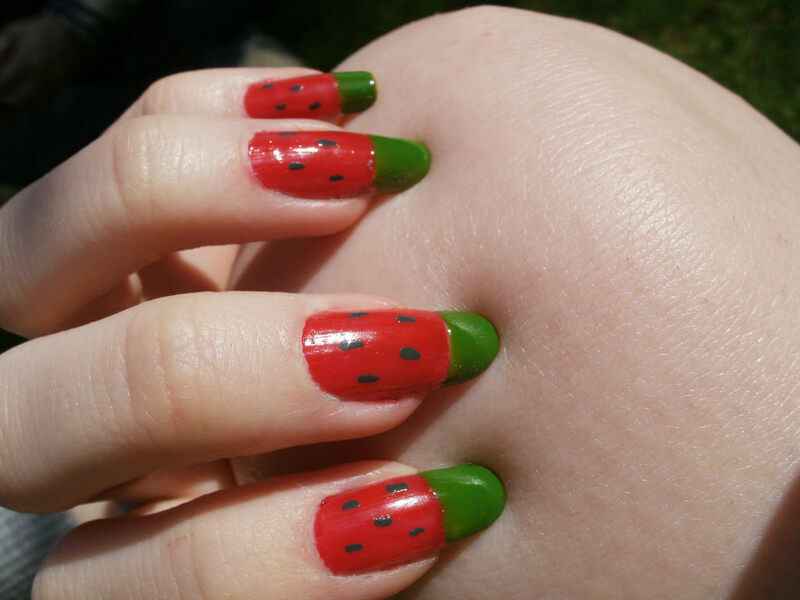 This nail art is perfect for the square cut nails and is good go carrying out in the summer season. 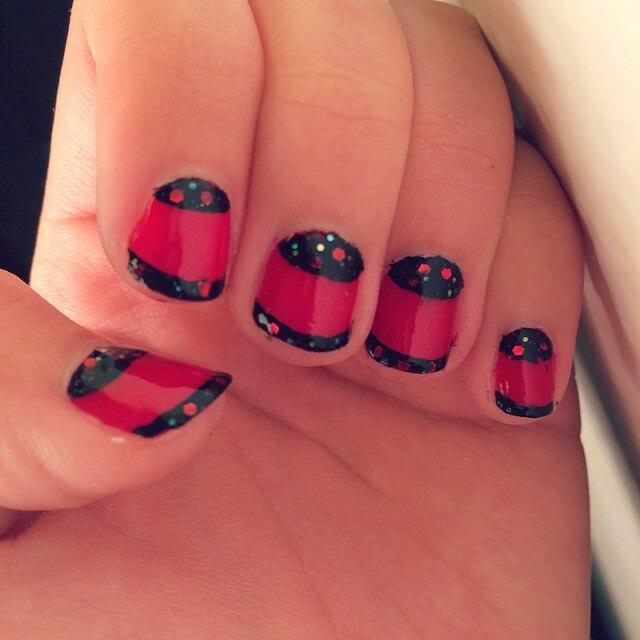 The red on red patterns are quite flattering as well as beautiful to look at. 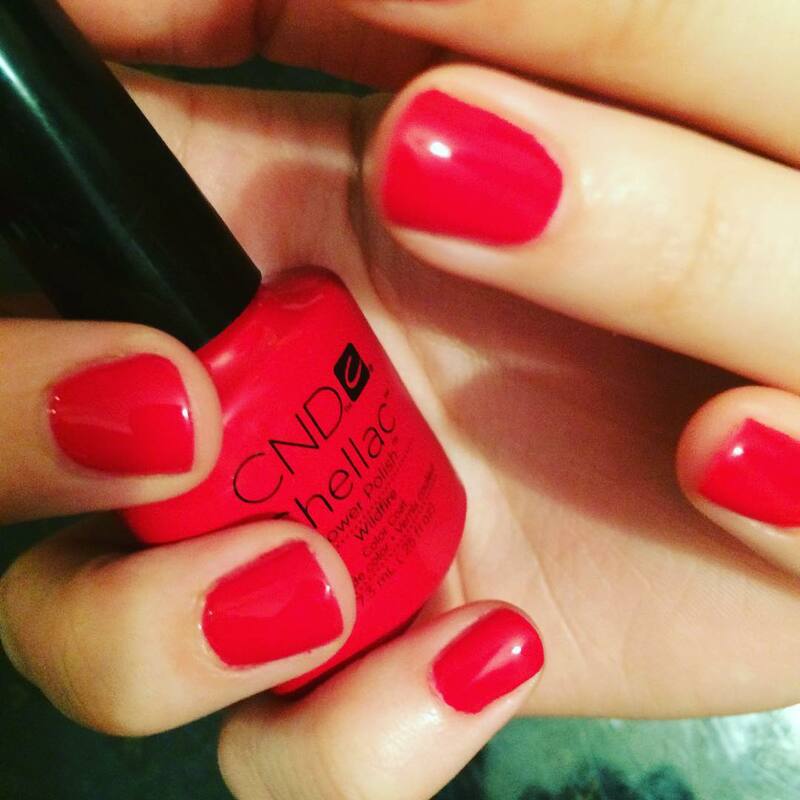 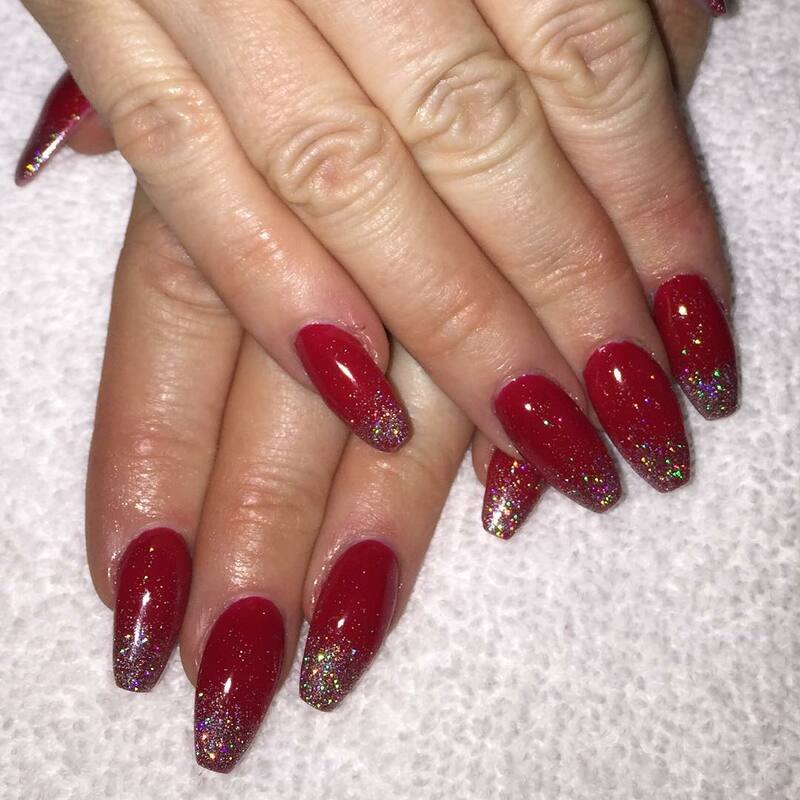 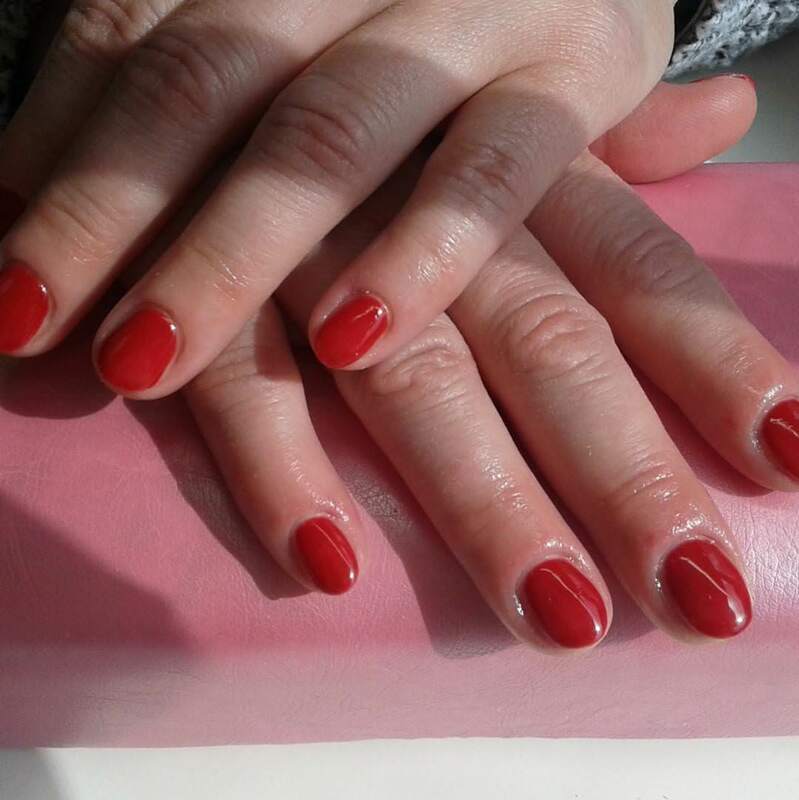 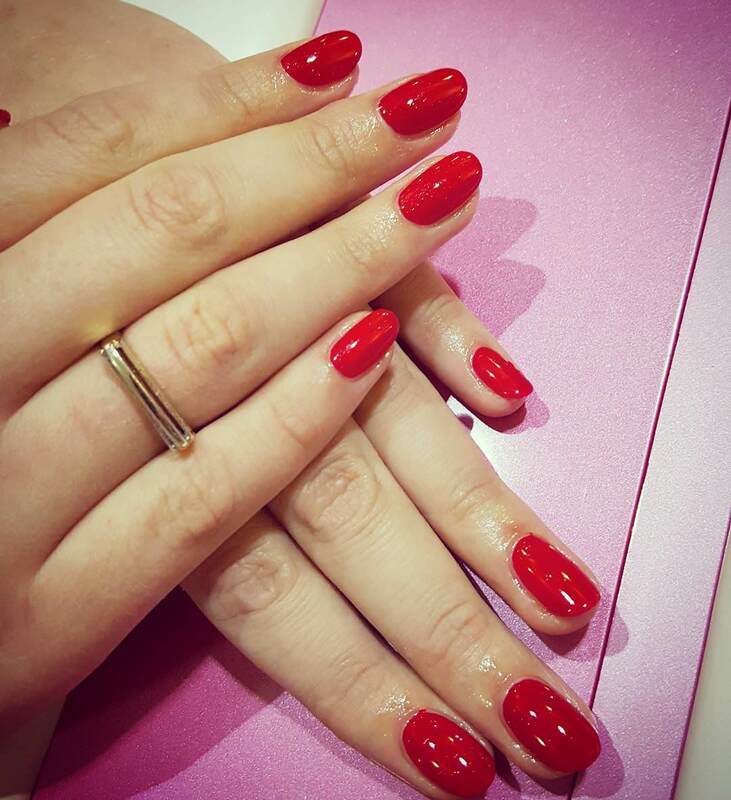 Stiletto red nail designs are glossy and the perfect for matching up with party wear. 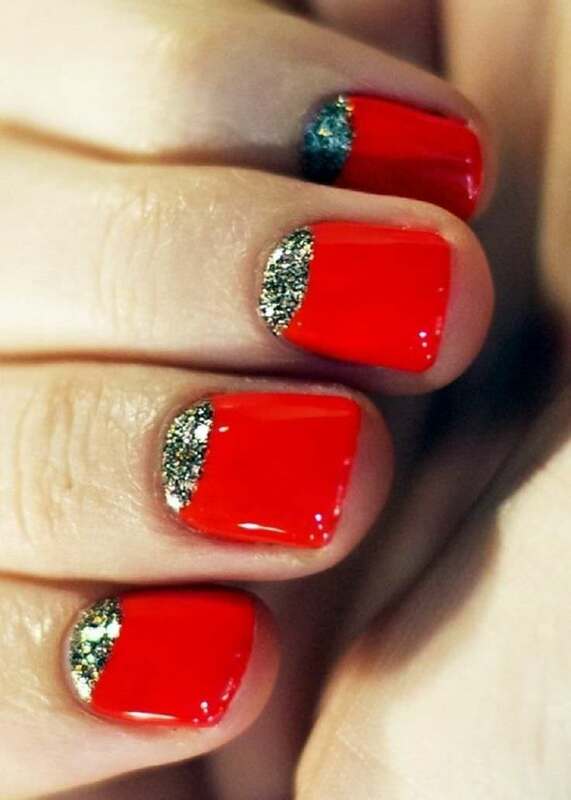 It gives a totally bold look and can go with any outfit that you wear. 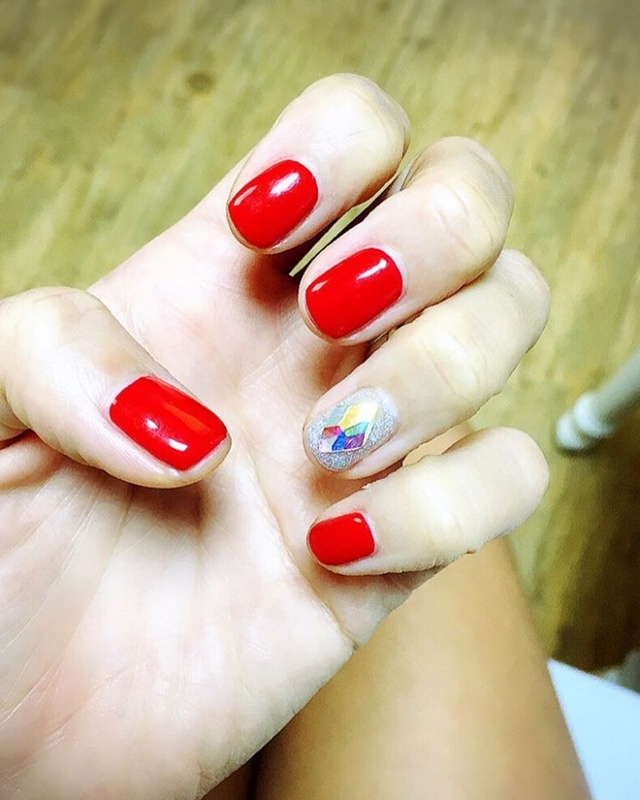 If you are looking for something simple yet amazing nail design, then you should be going for this one. 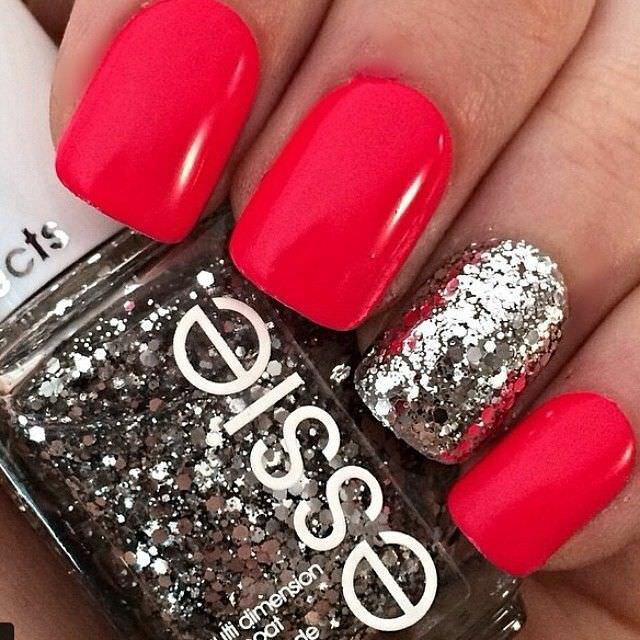 This has a natural effect and goes with any and every outfit. 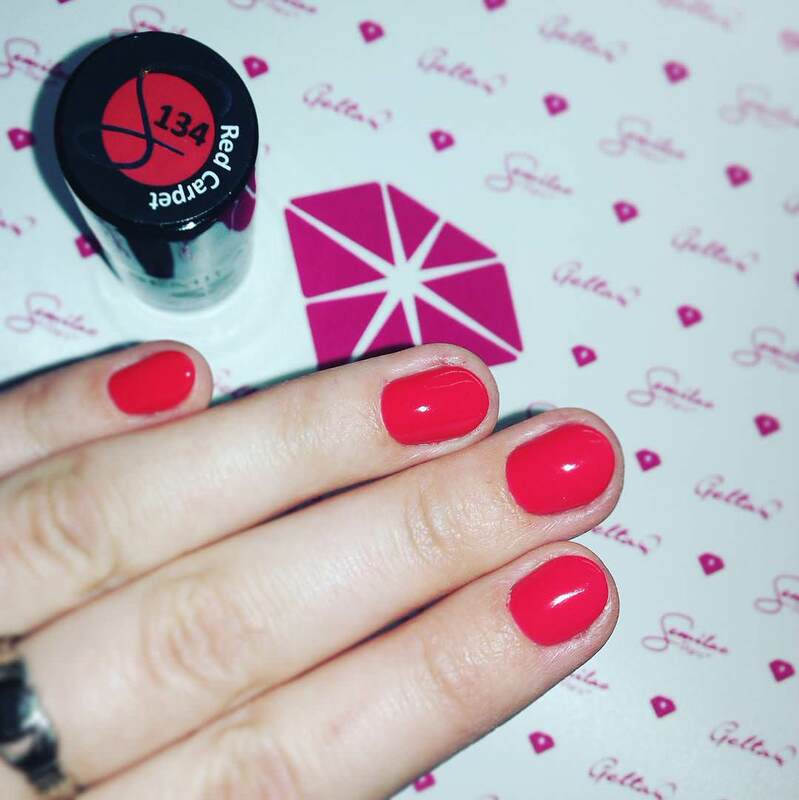 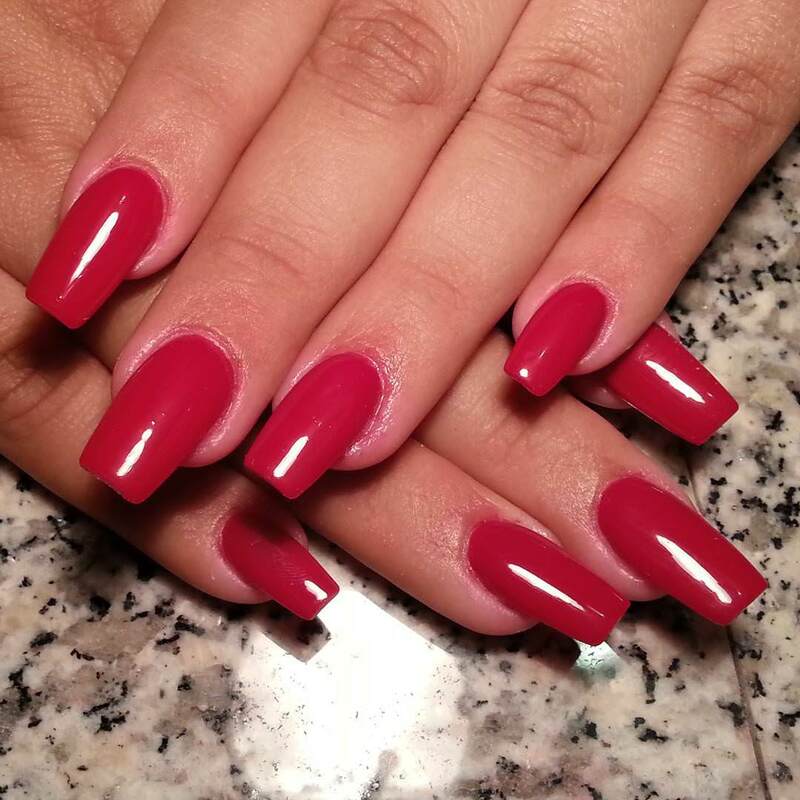 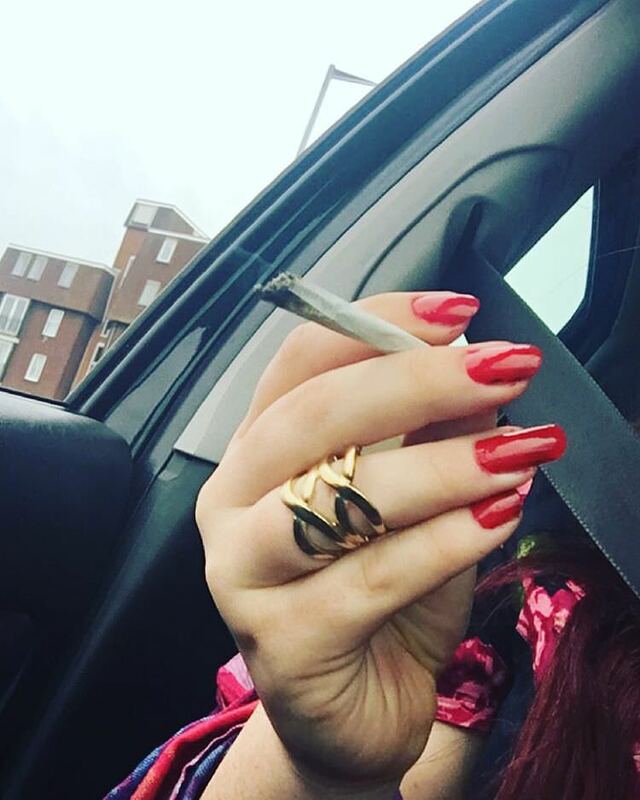 This is the kind of red nail design that helps you to have the perfect hippy and modern look and all you have to do is to choose the perfect shade of crimson to get that look. 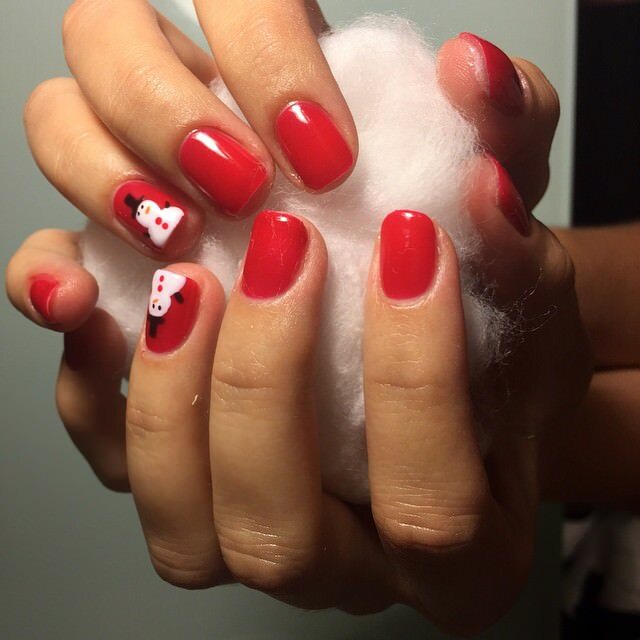 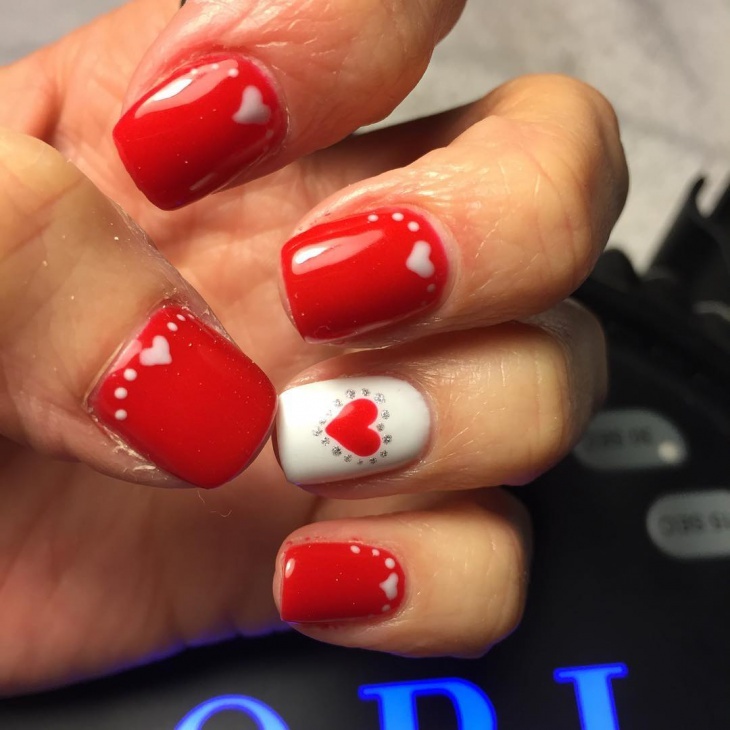 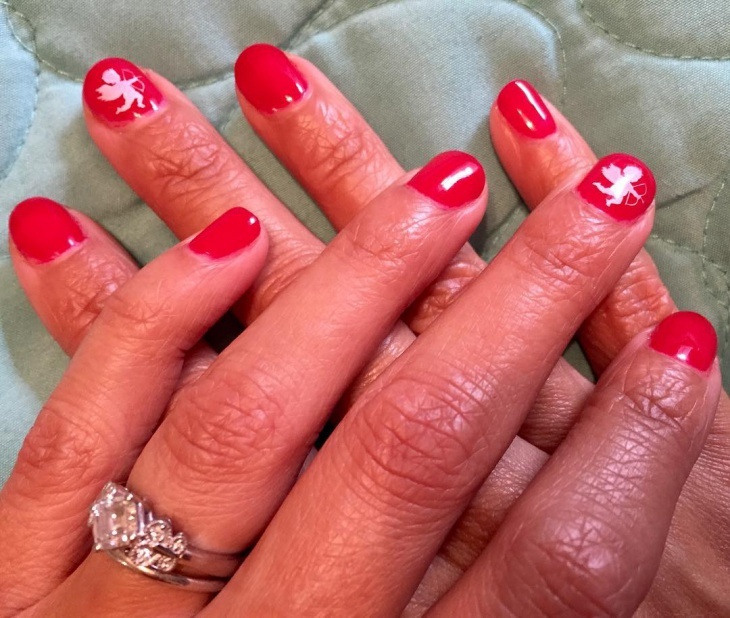 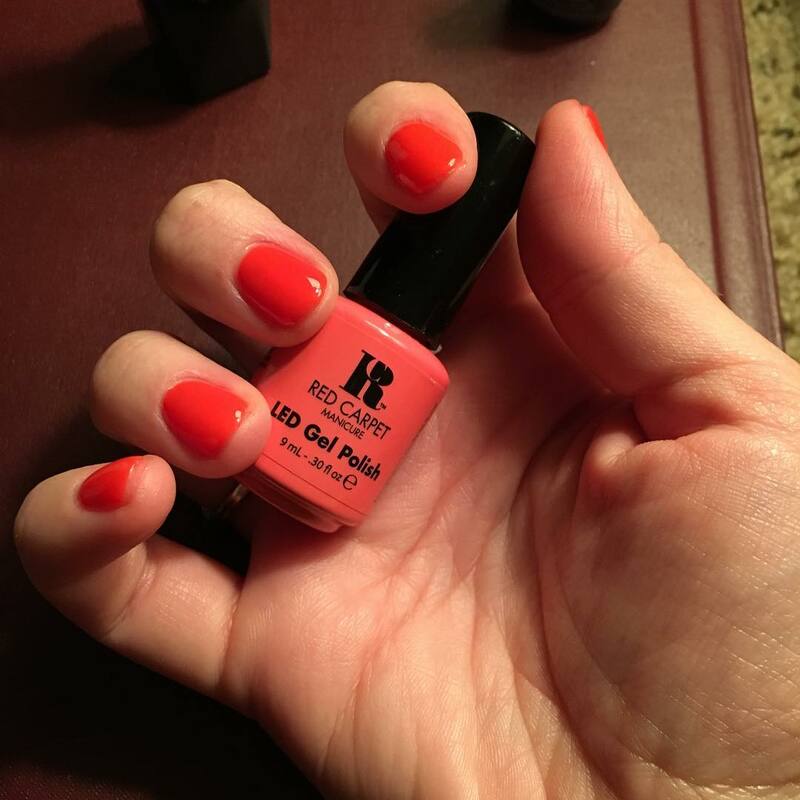 If you want to make your nails look like they have been created by professionals, then you have to go for the best of artist red nail design. 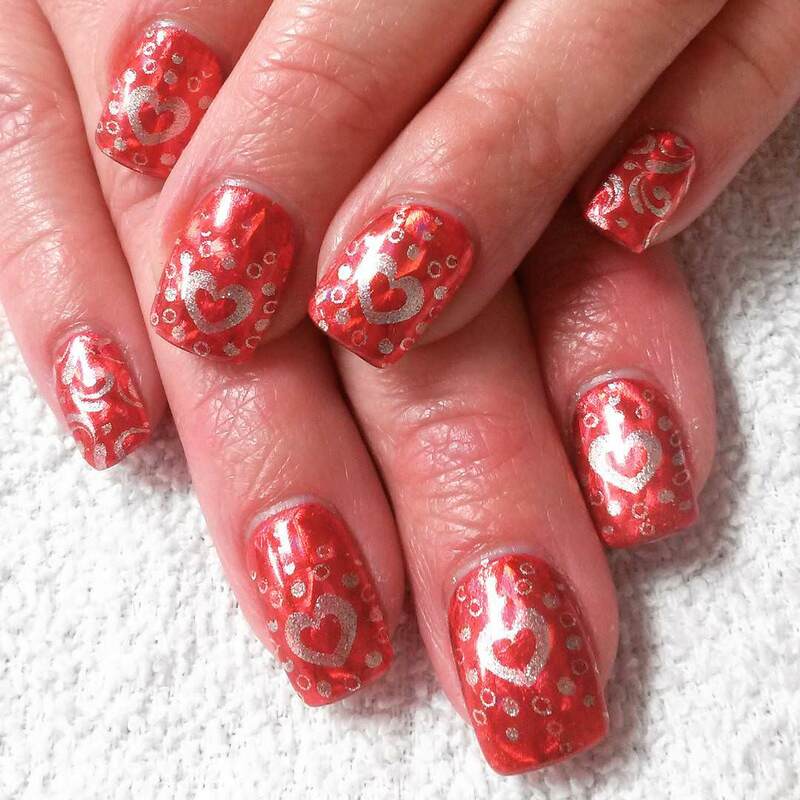 They can be of the matt or glossy paint and you will definitely love them. 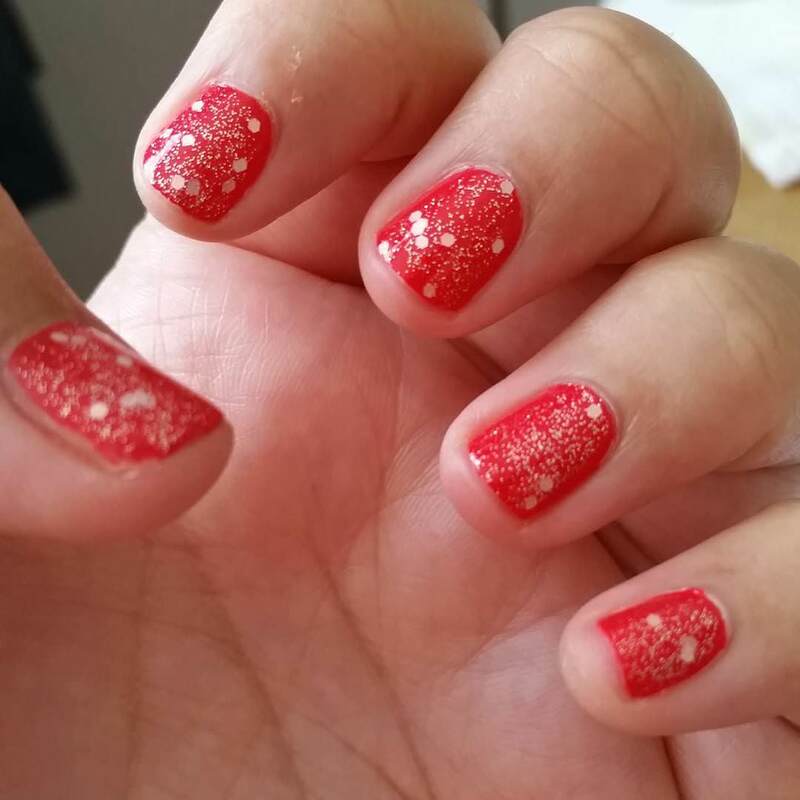 These nail art is done by using glitter patterns on red nail paint so that there is a unique and shiny look to the nails. 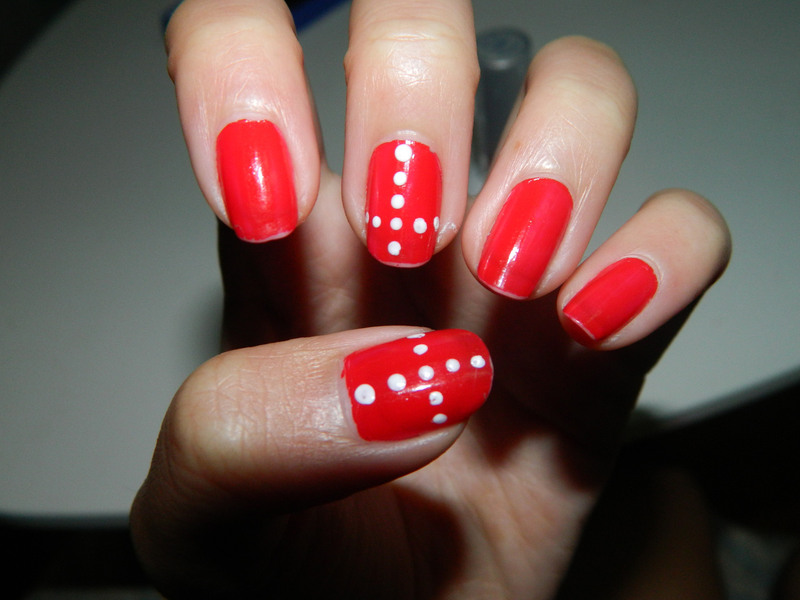 Do this sort of art and you are sure to gain a lot of designs. 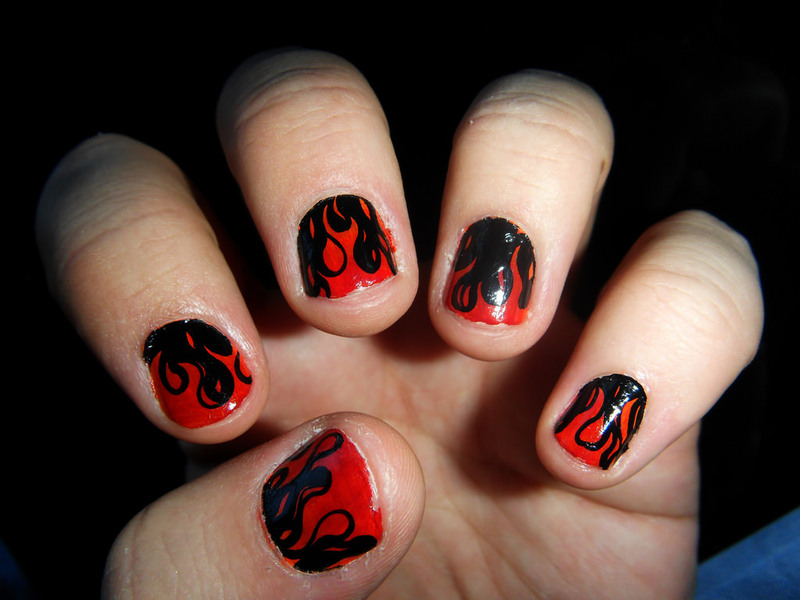 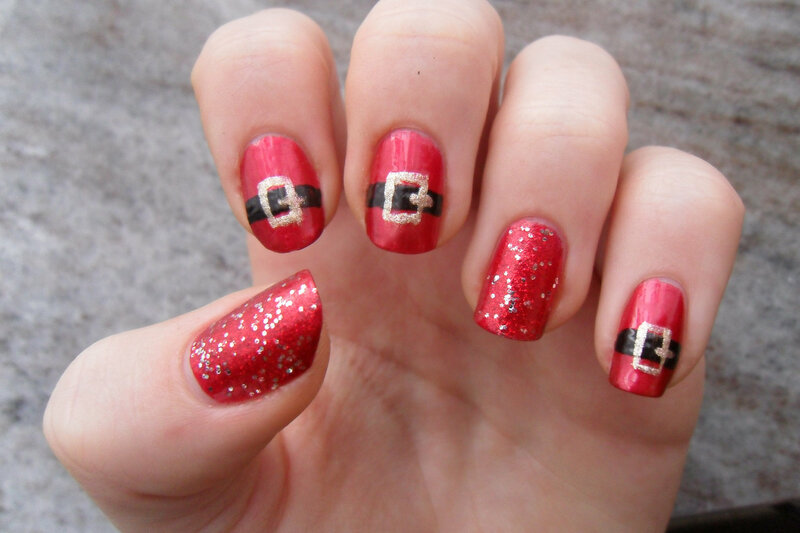 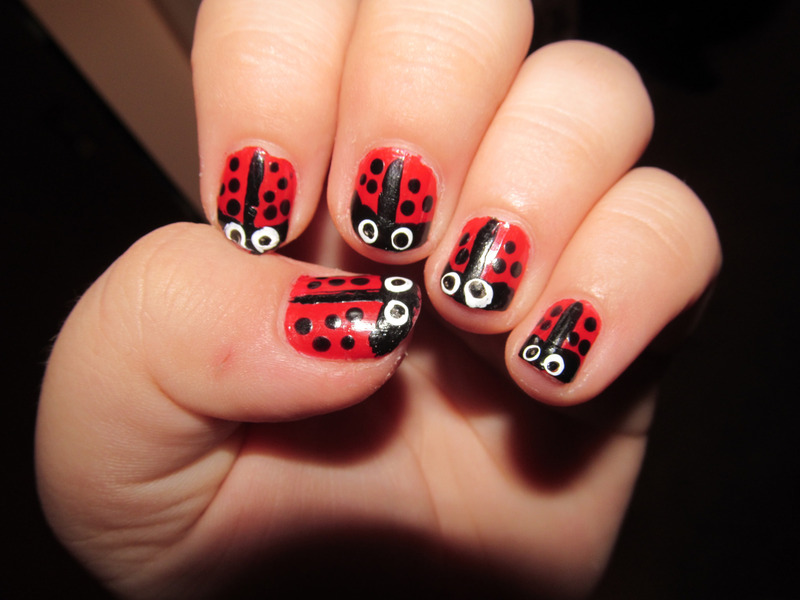 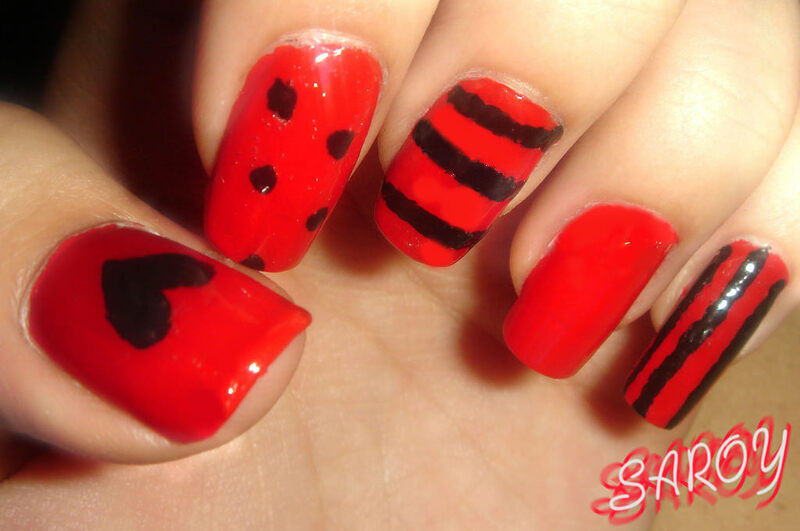 This sort of nail art is done for the daily use so that you can have the best look that goes with your make up. 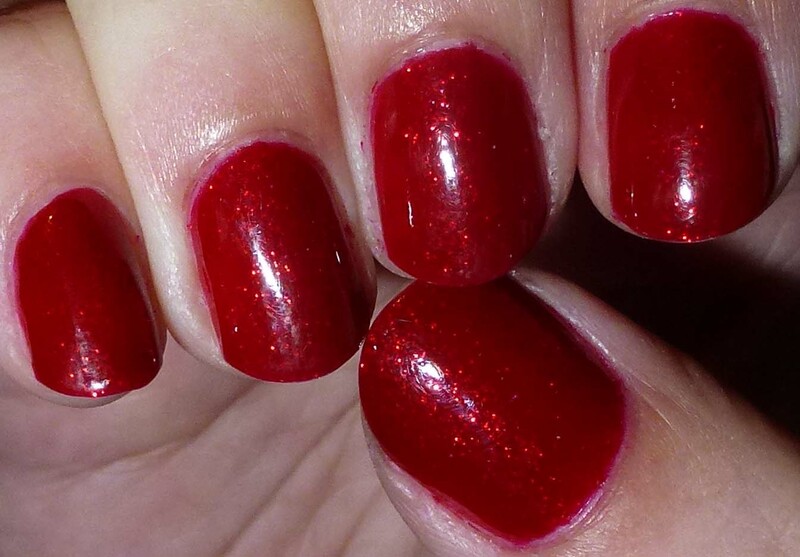 It is shiny, and has an enticing gloss as well. 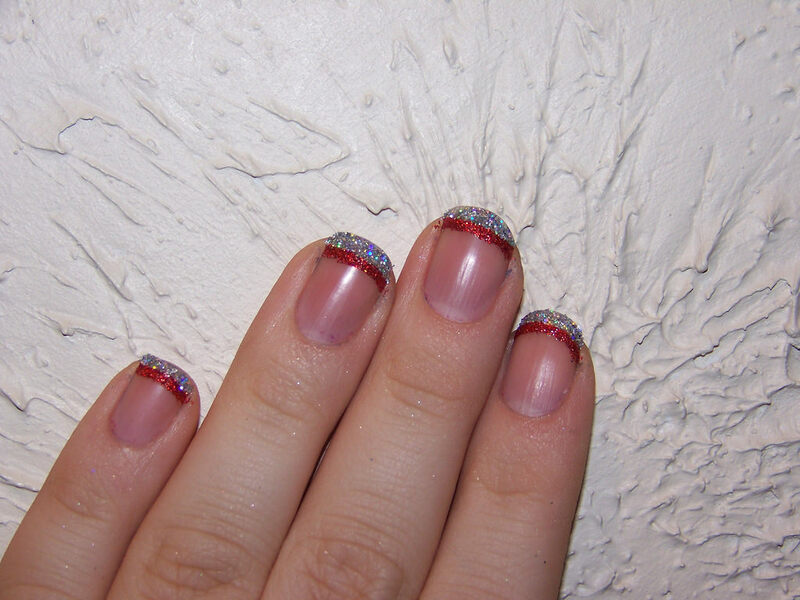 Glitter French nail art is a simple way of changing your basic red nails only on the tips by adding a glitter lining. 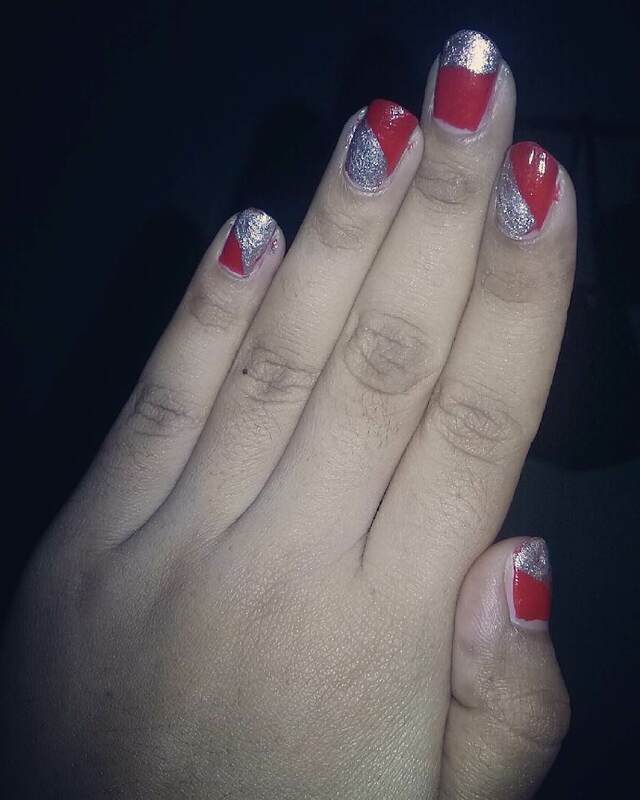 This turns your manicure to become more appealing and jazzy.Red with black and silver patterns works well, especially if you are ready to have a party right on your nails. 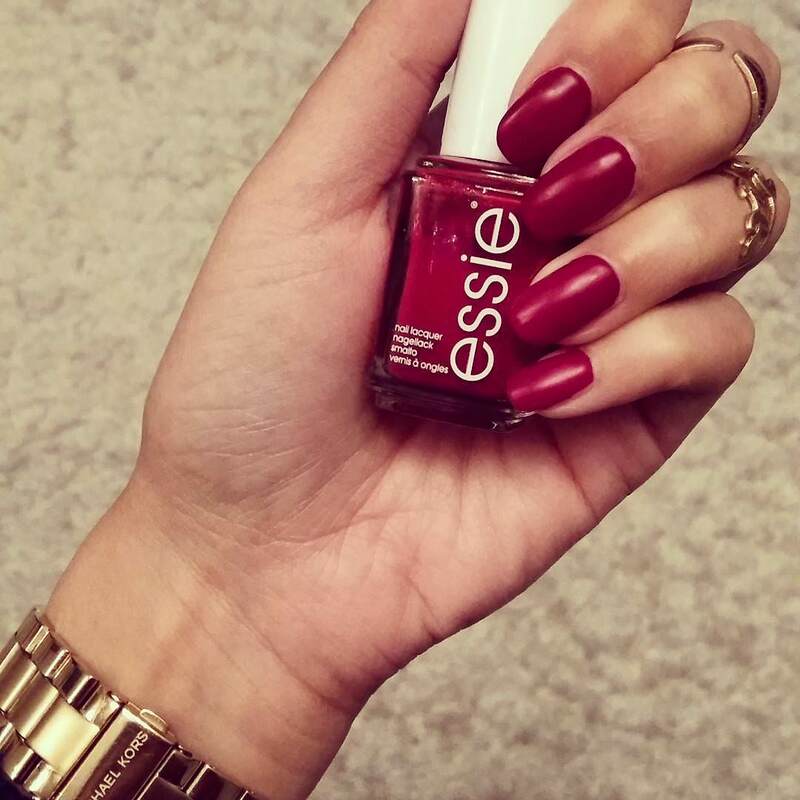 Dark Red is fall’s must have color. 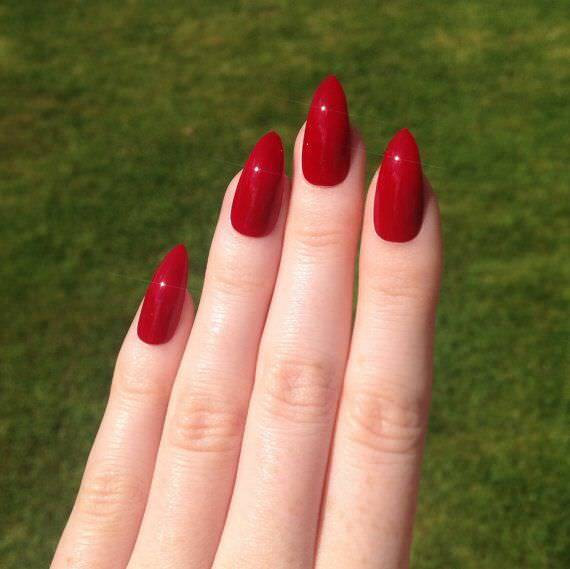 When dark red is combined with a gold detail design, you will definitely be winning. 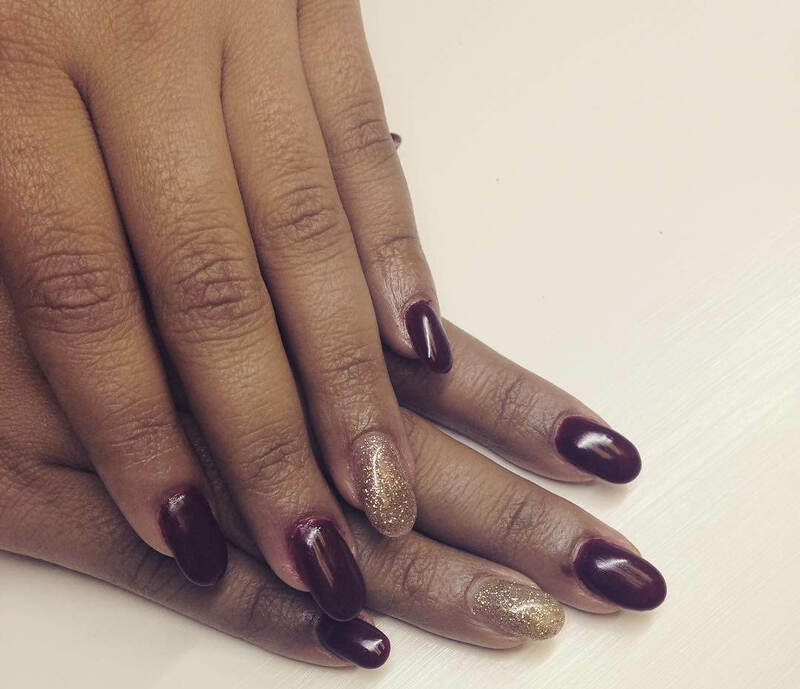 An edgy dark red nail with a skull design is your next go-to for Fall’s festivals. 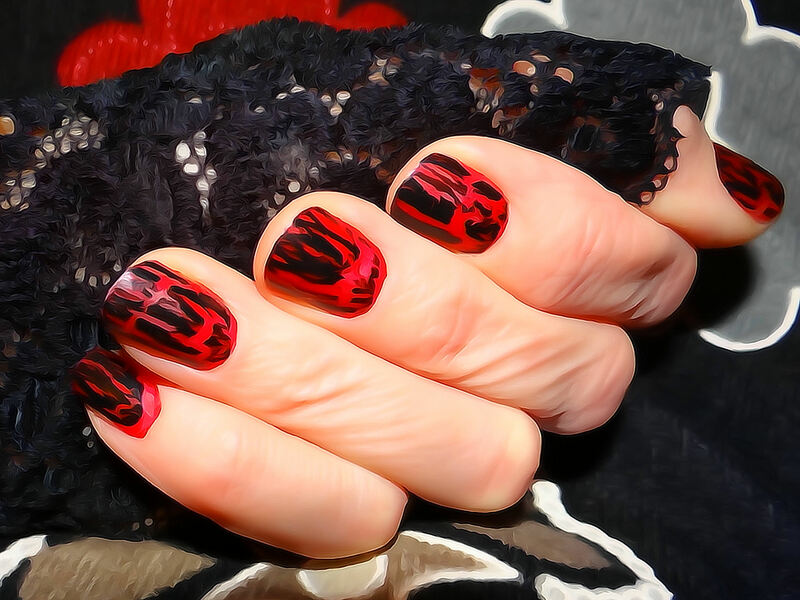 Keep the manicure simple with a nice skull on one finger. 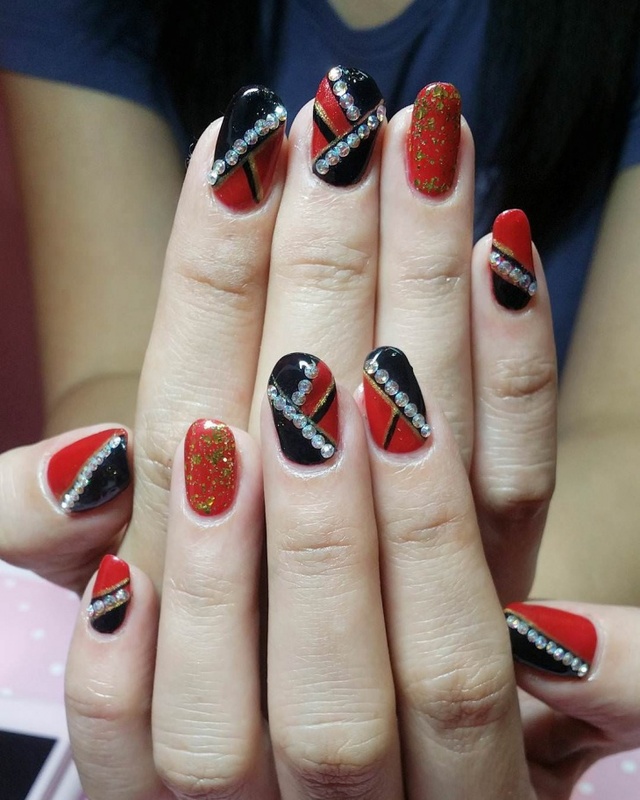 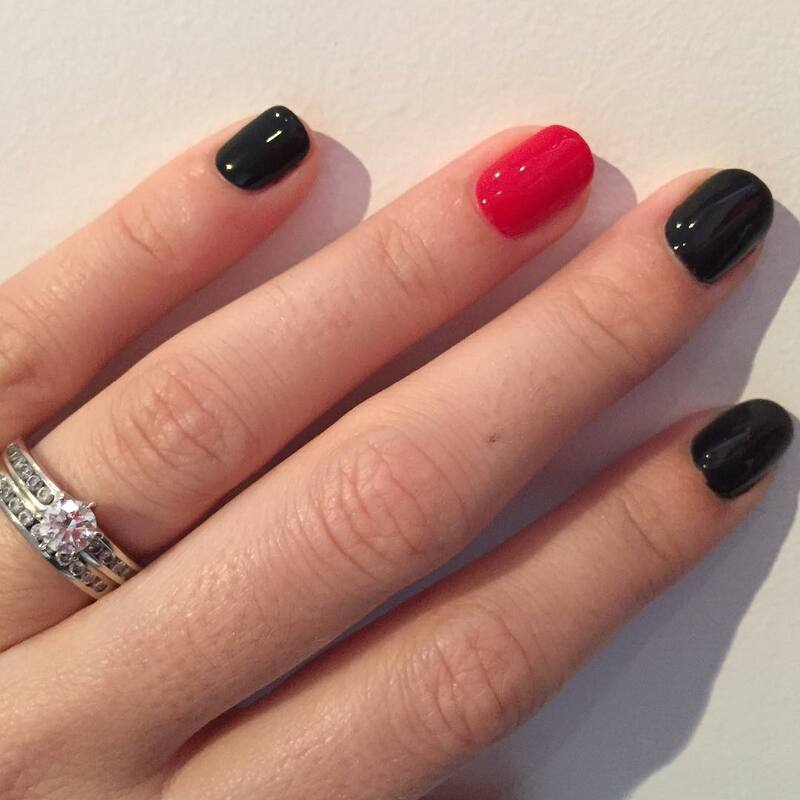 One of the most popular trends in nail design is the black and red nail design with the perfect golden touch. 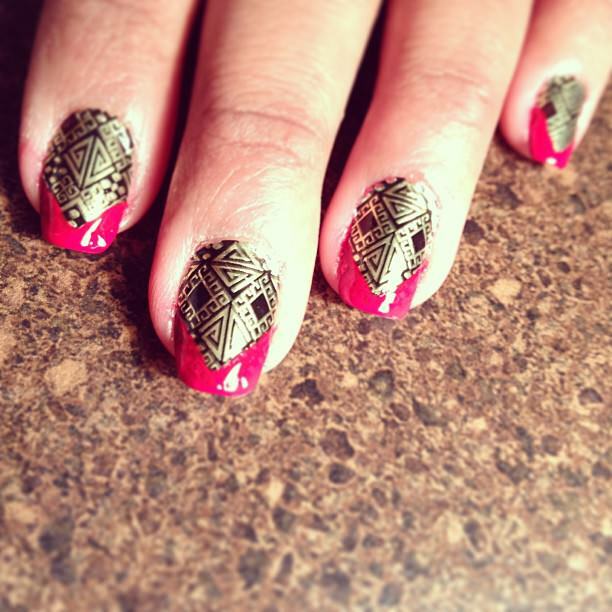 Any nail design lover will appreciate the gold details on the base. 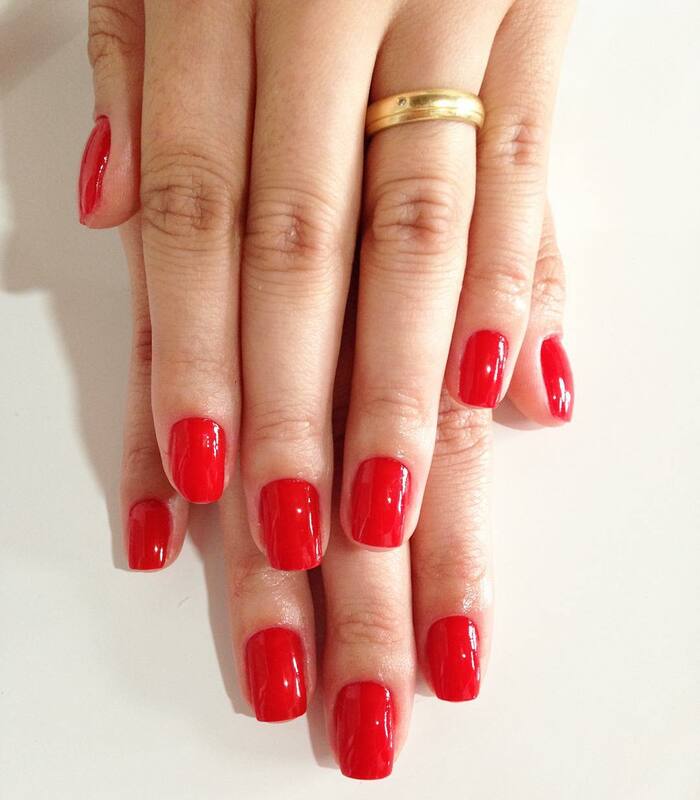 The known color of love, red radiates power and energy. 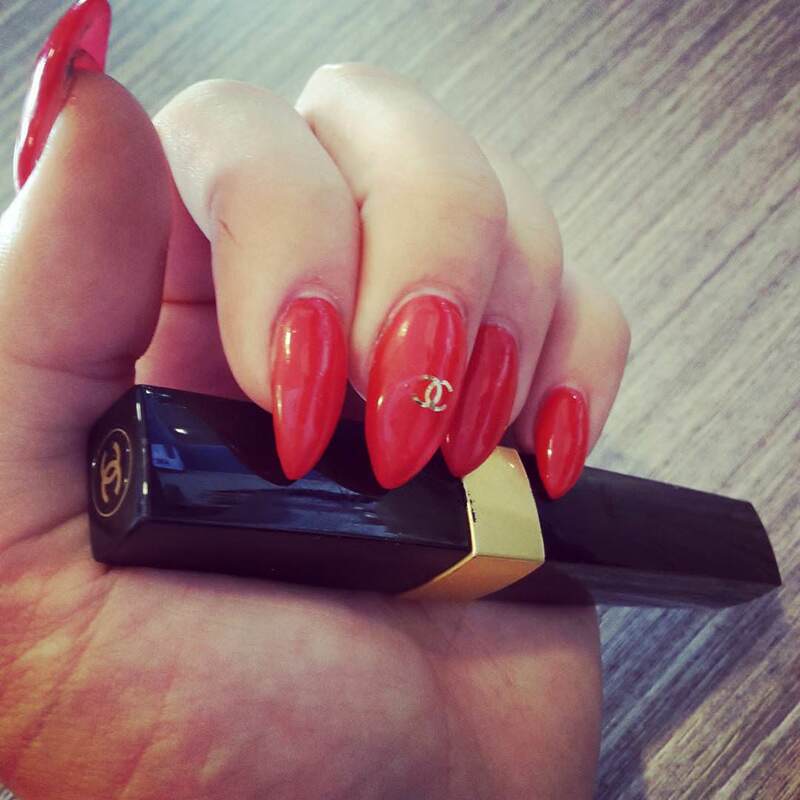 Its actually the most used nail polish color , for the red color lovers get creative with the frame manicure and two or more tone. 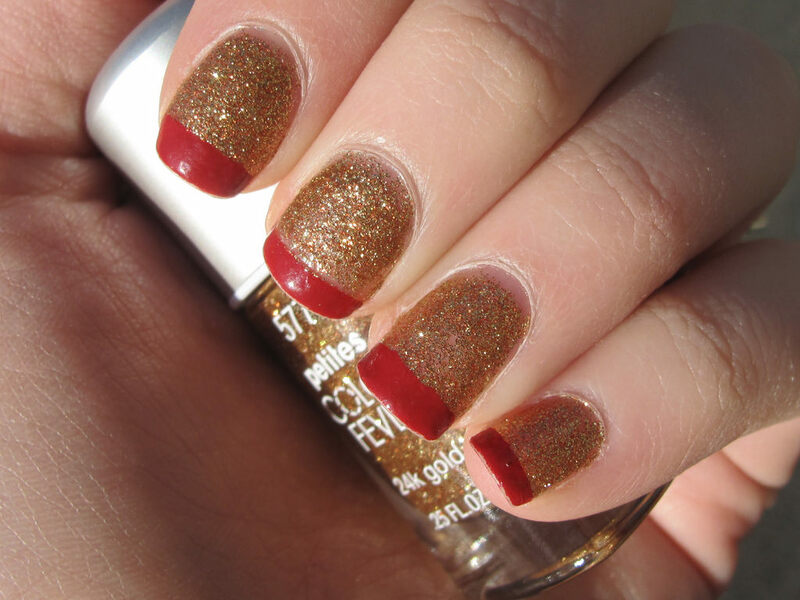 This is definitely something out the closet, the two tone nail design. 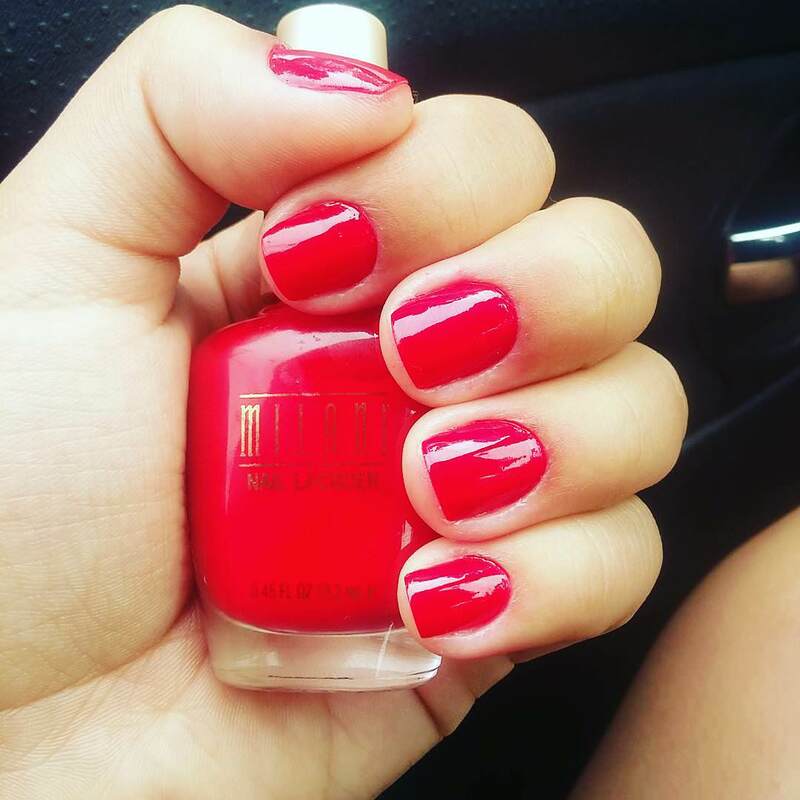 Pair your favorite red with any other color. 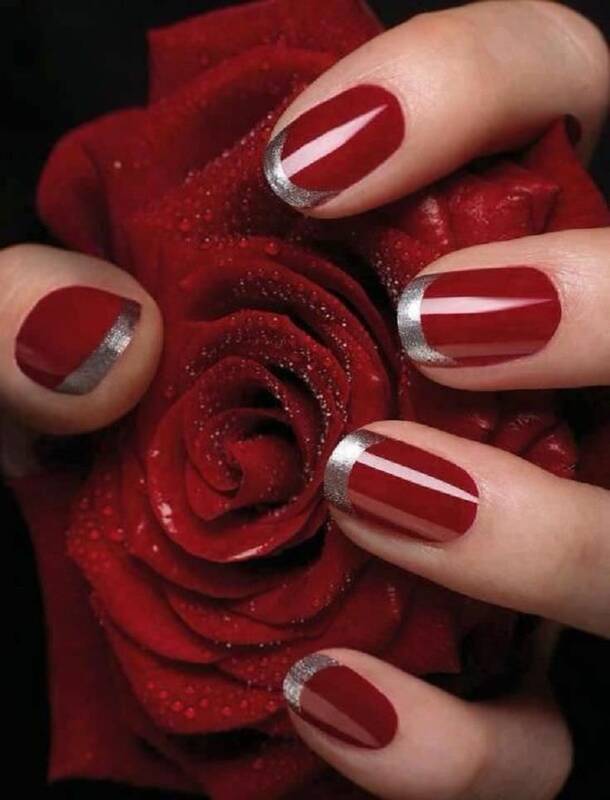 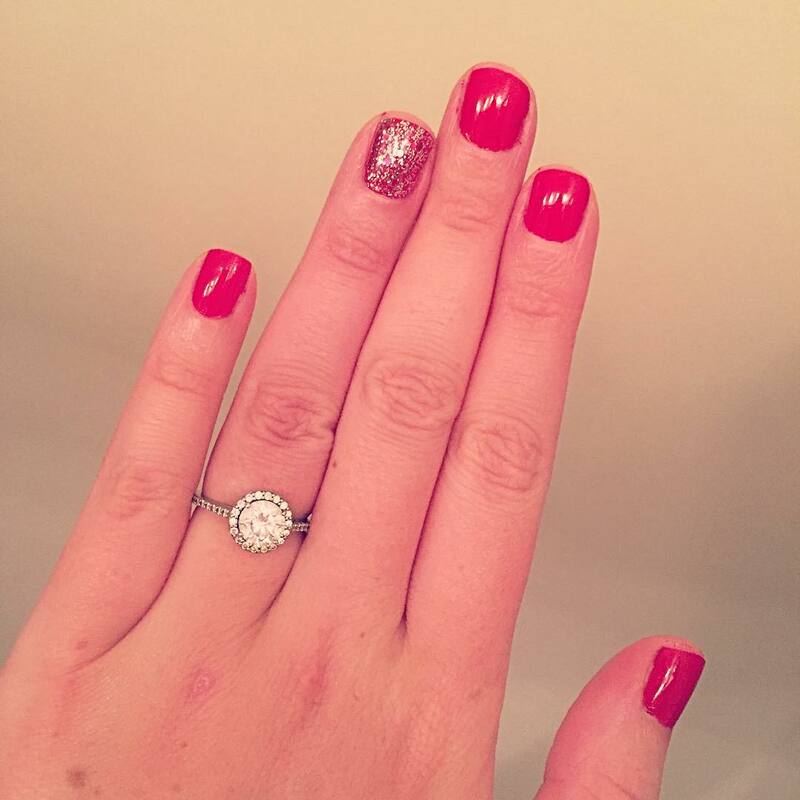 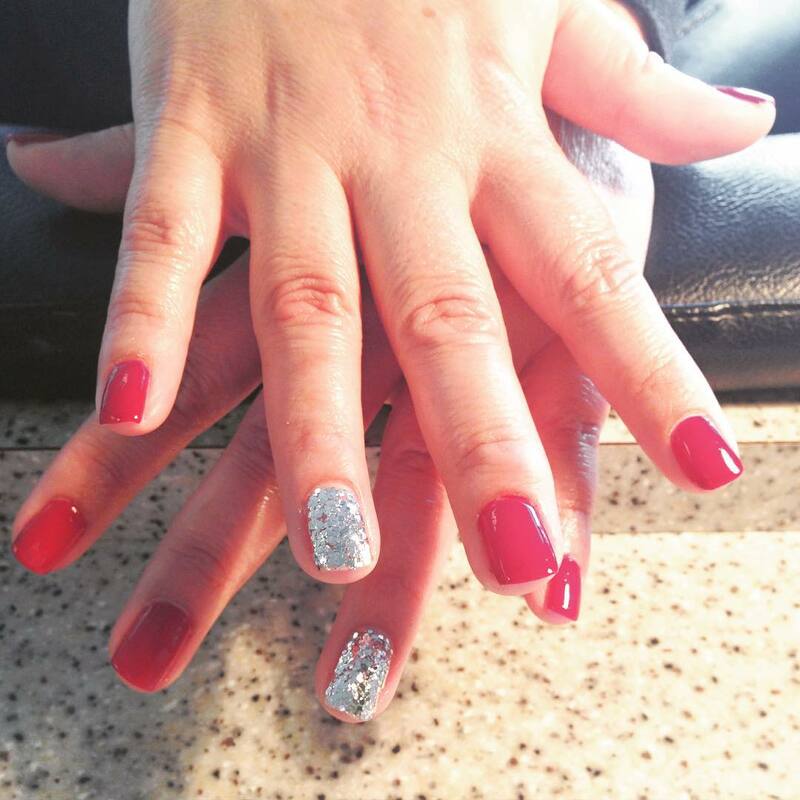 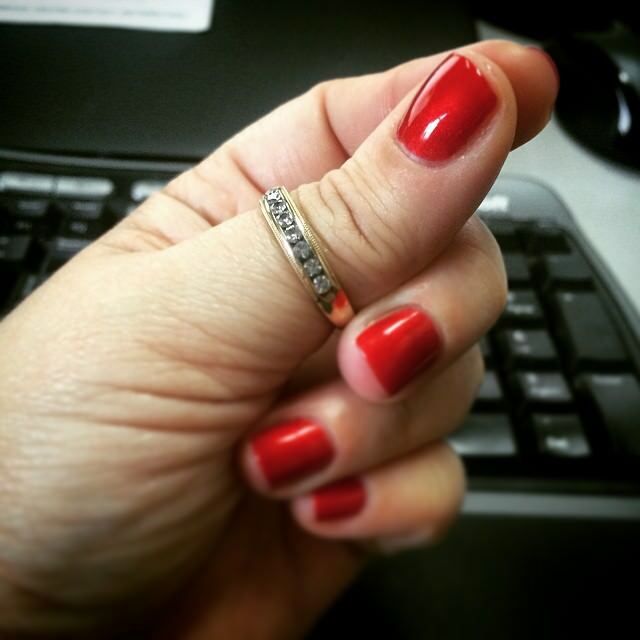 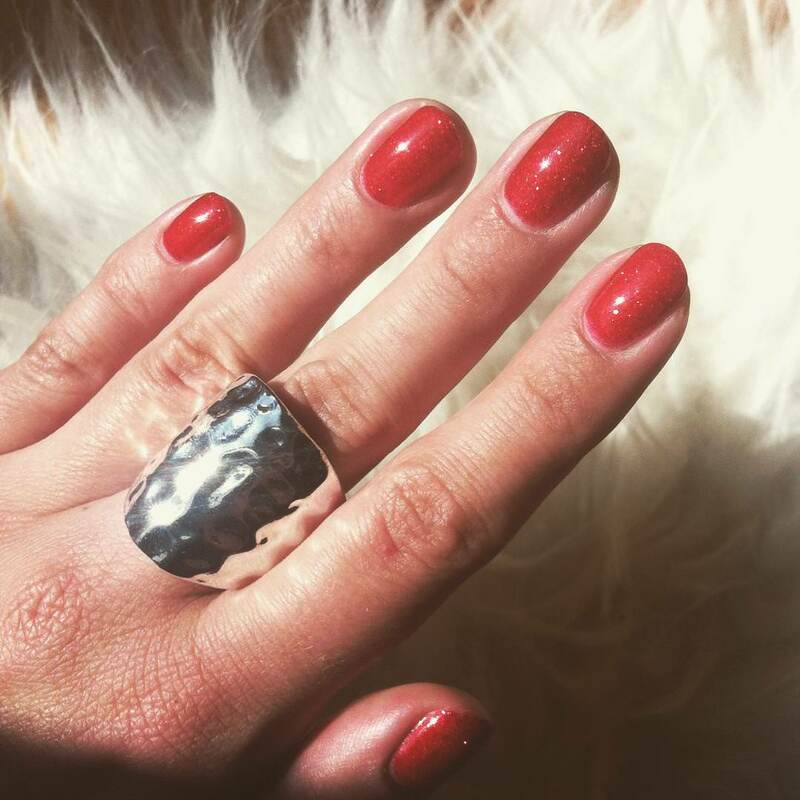 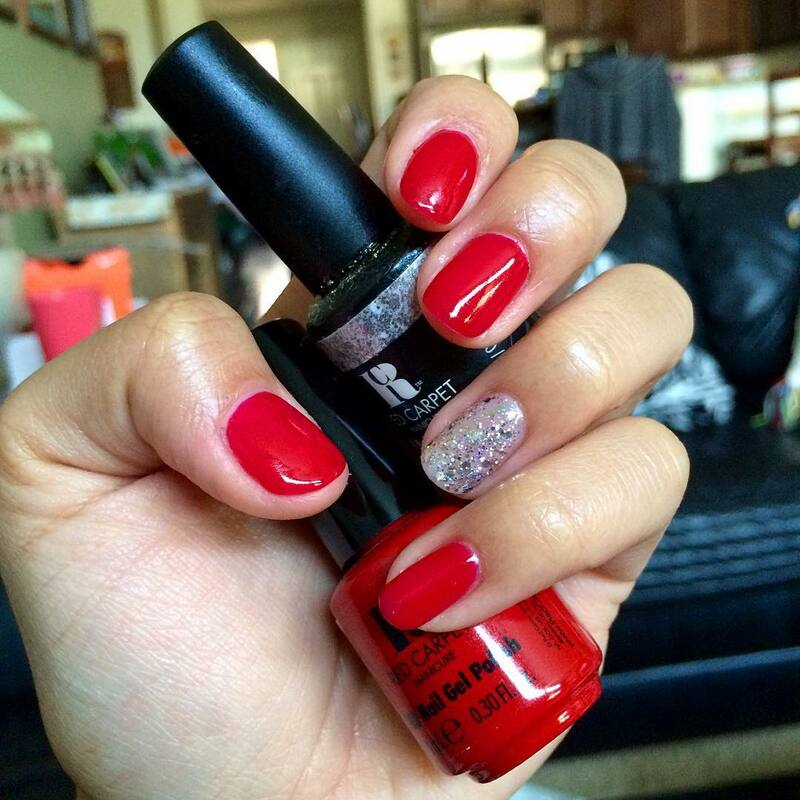 Another bold statement is silver glitter on red this is no similar to but a statement nail fashion design on its own. 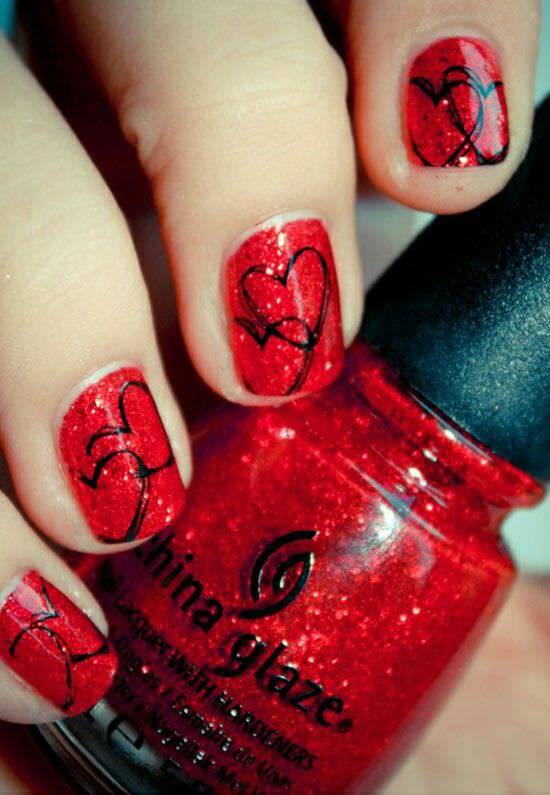 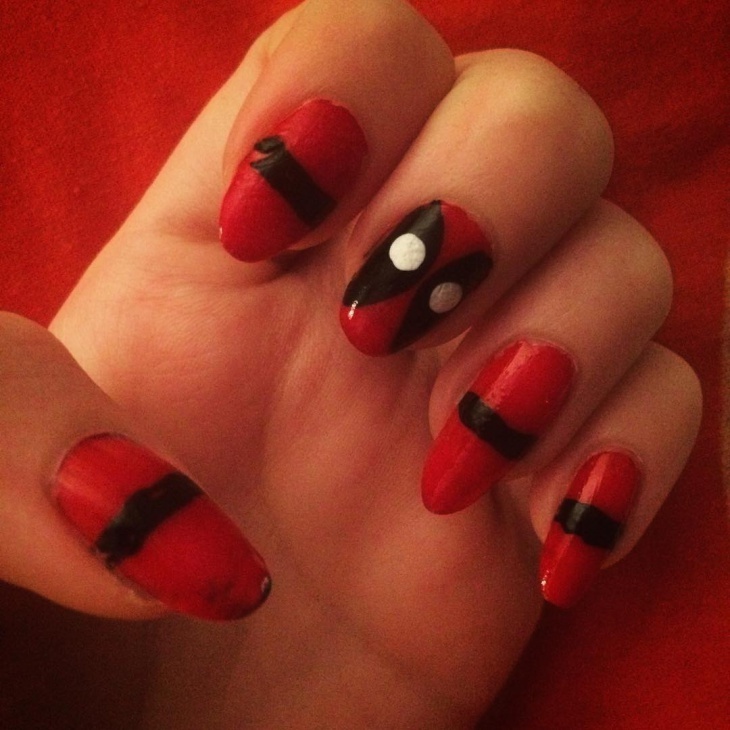 For a sassy and cheesy look , dark red nail polish art is attractive to all age groups. 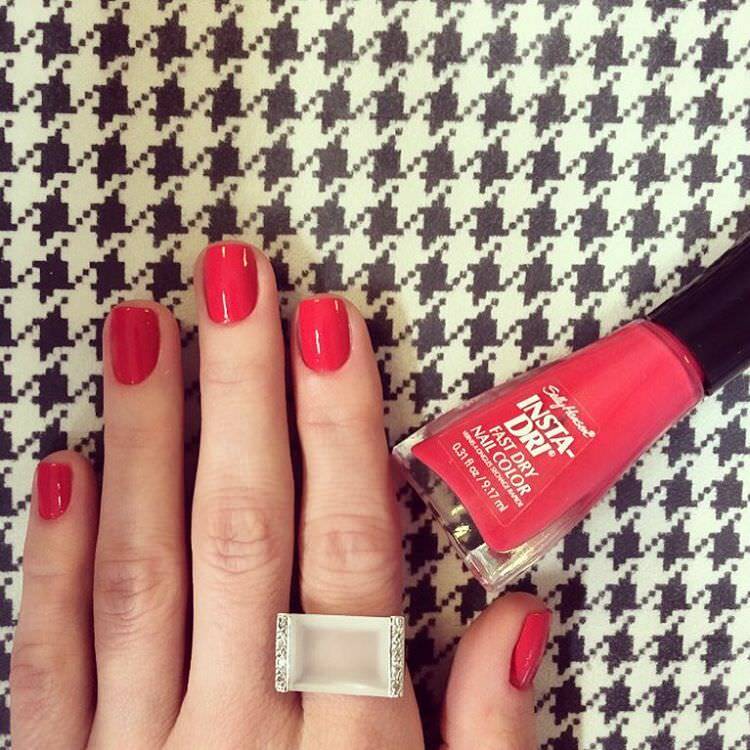 Keep yourself updated fashion wise by applying a thick coat and step out in the most fashionable accessory. 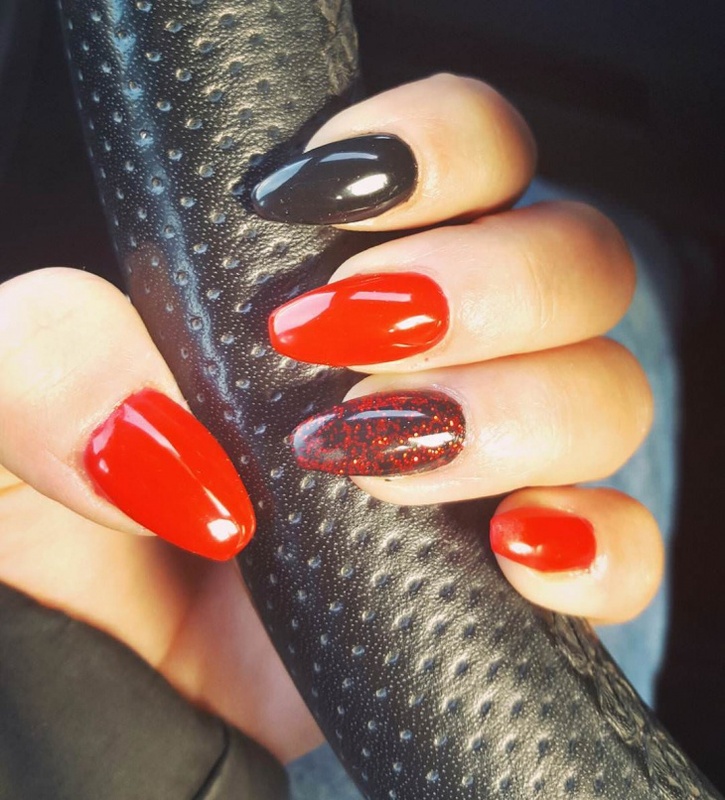 Well its already known, red is the ideal nail polish color but you just don’t paint it plain, add a touch of black in various available design and you will be amazed with the outcome. 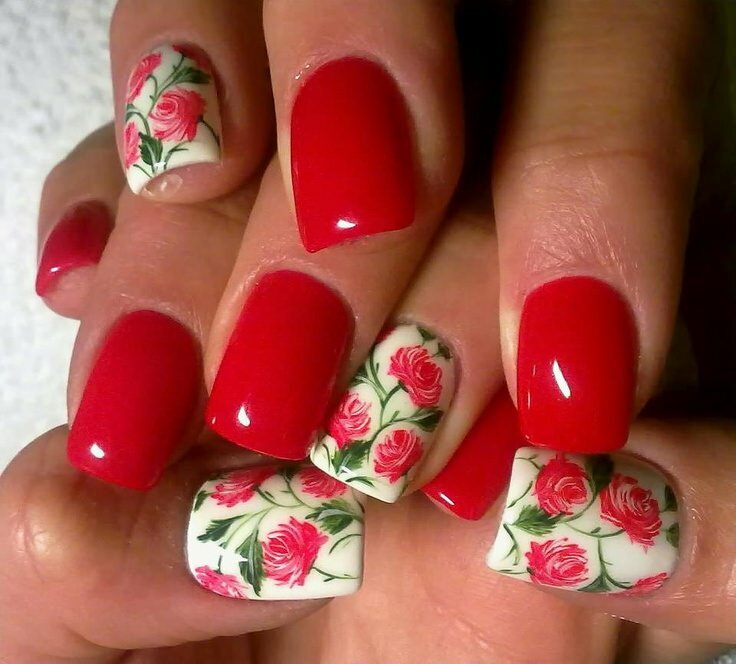 stunning ,attractive nails you would not miss out. 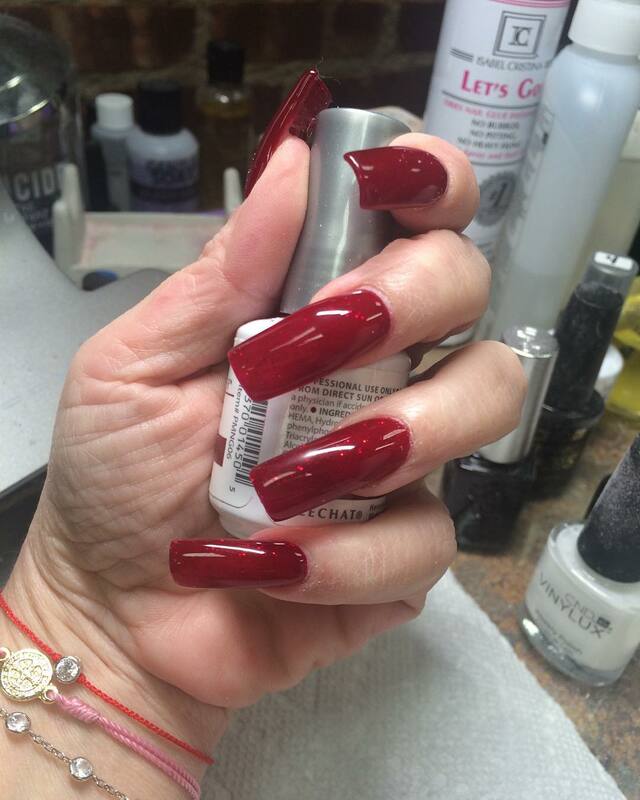 Not much attention is made for the toes as it is for the nails but that no longer true. 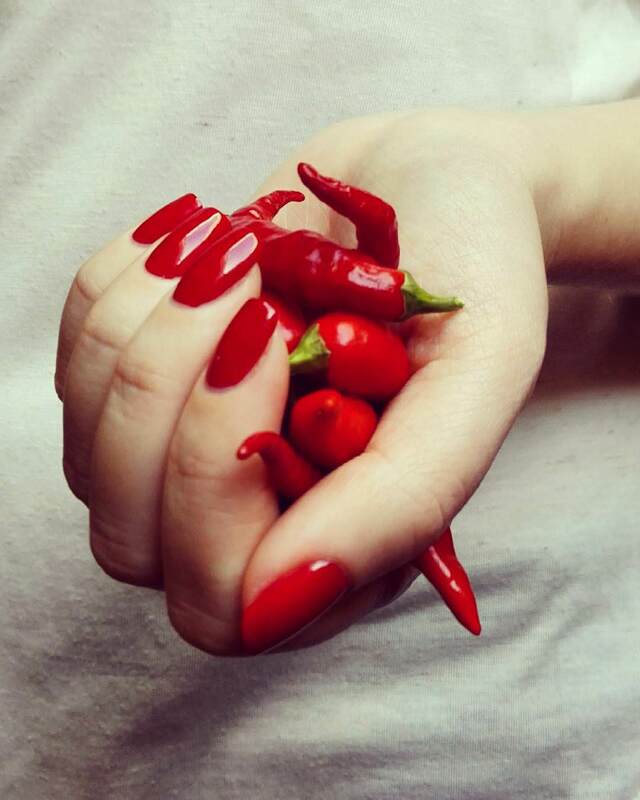 you have to be stunning all round right from your face , your fingers and now your toes. 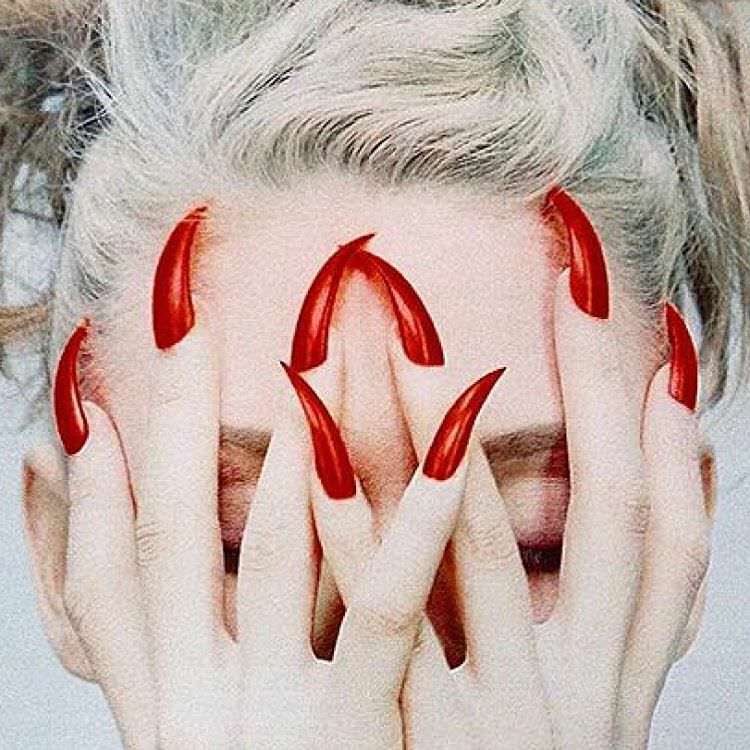 with your favorite tip toes or open shoes , stilettos you cannot afford to leave your nails unkempt. 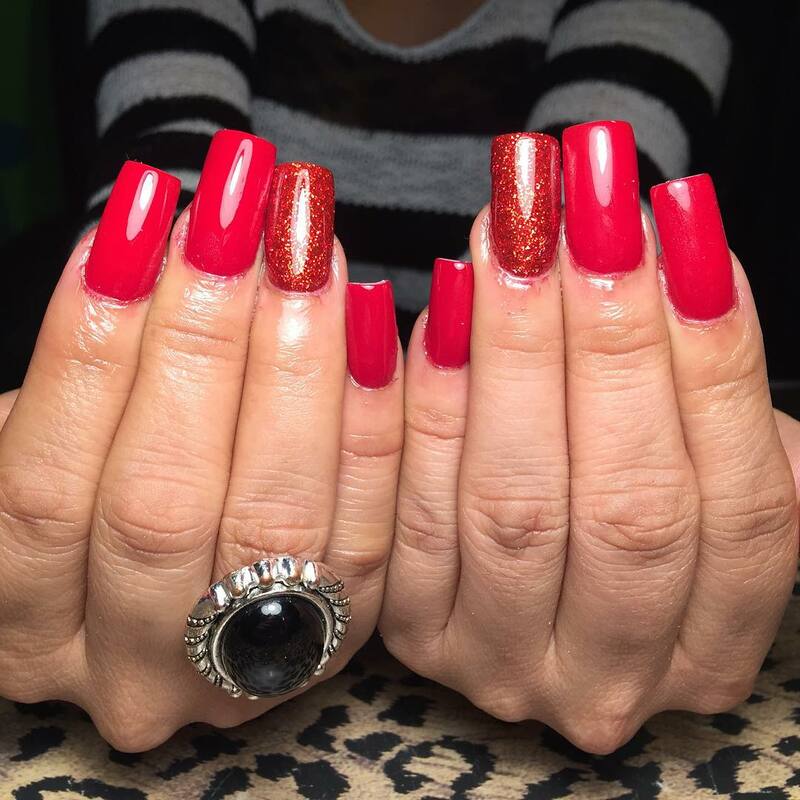 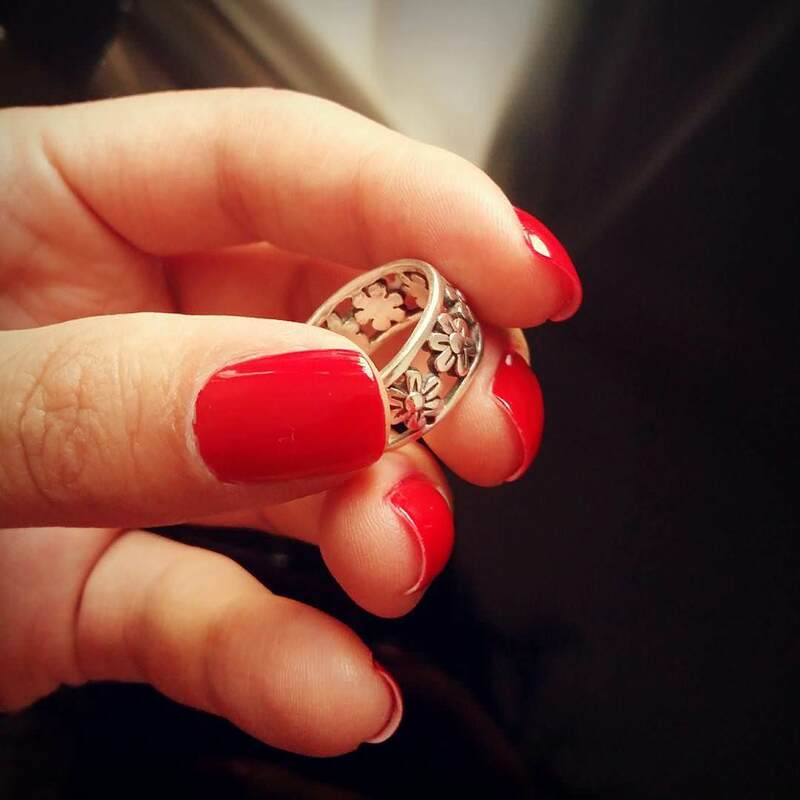 It cannot be emphasized enough , red fingers is the ultimate , with the various available designs and nail art , you will be spoiled for choice. 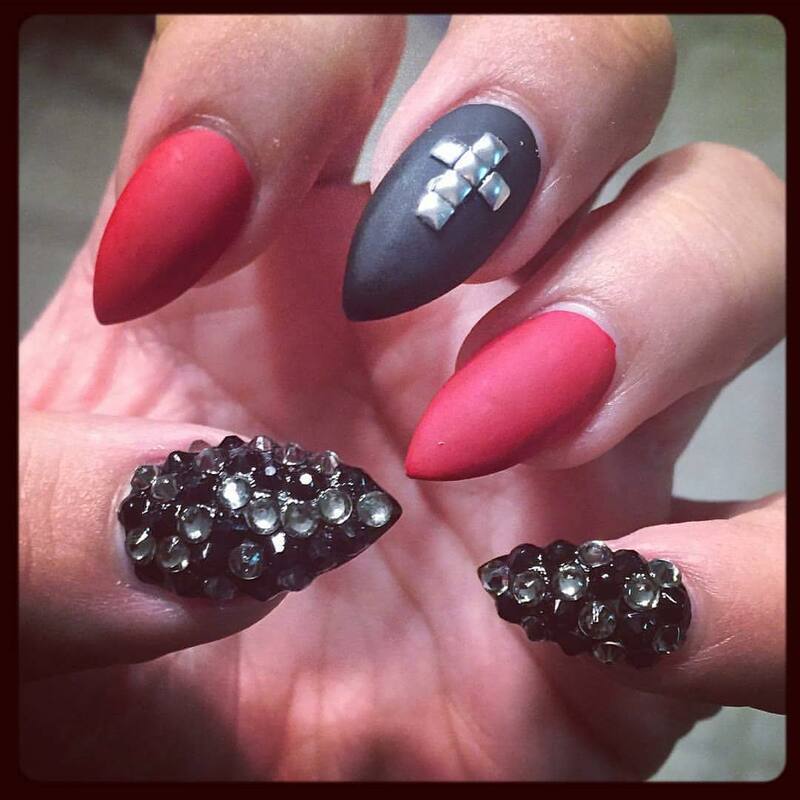 At the red carpet is one place you would not want a miss whatsoever. 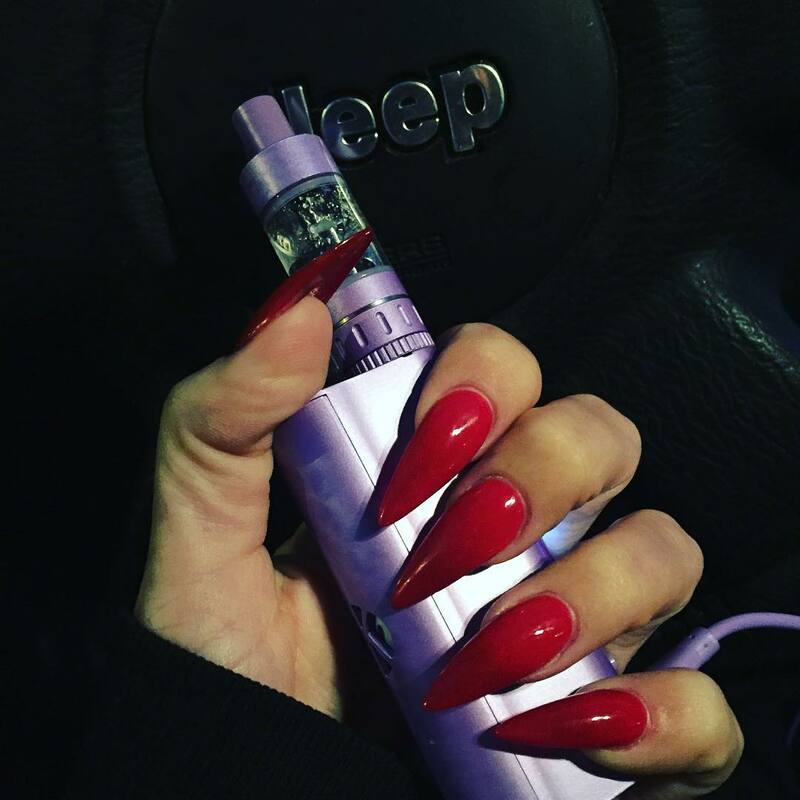 From your dress fashion, your make up, your lip gel and ultimately nail art and design all of these are always watched by blogers and news flash. 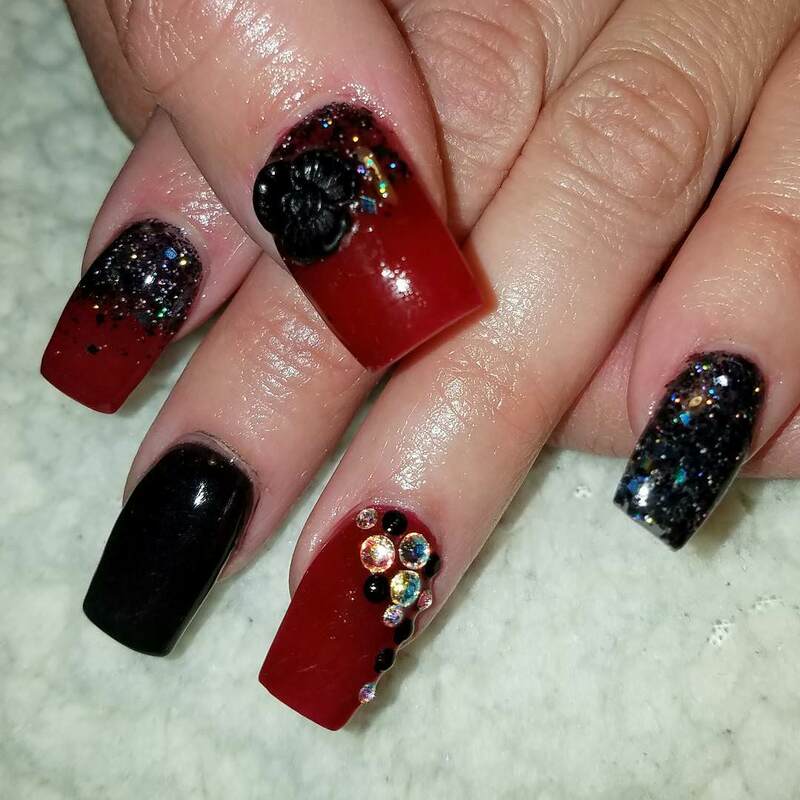 For your unique red carpet nail polish designs check below. 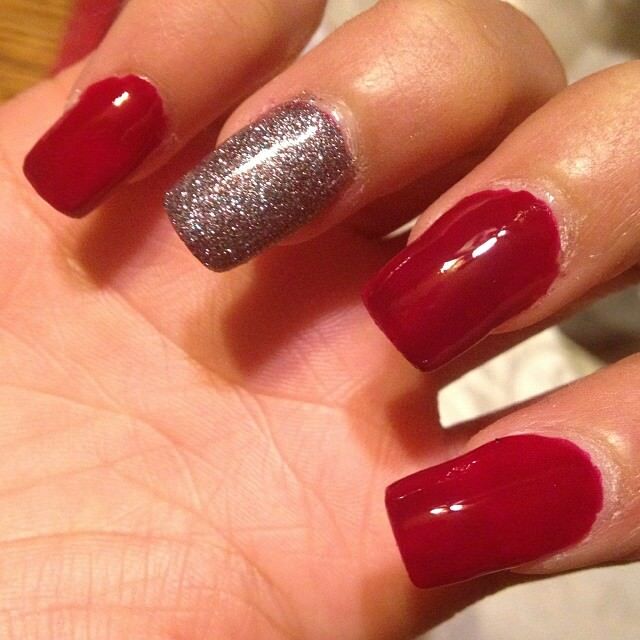 Not all preffer long nails, its just a persons thing to either go long or short. 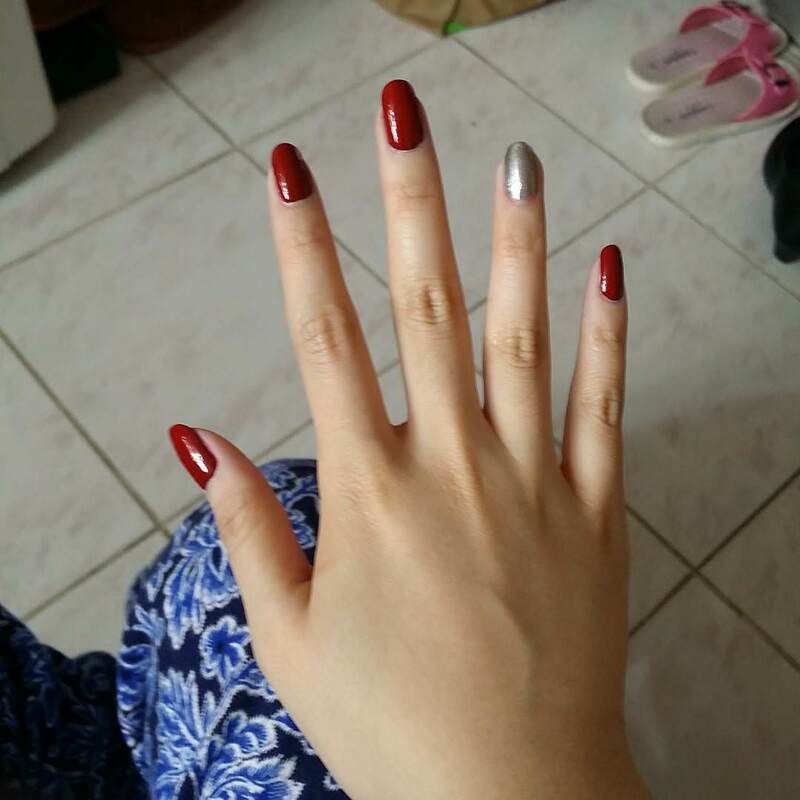 mostly those going short nails are after simple but nice effect on their nails. 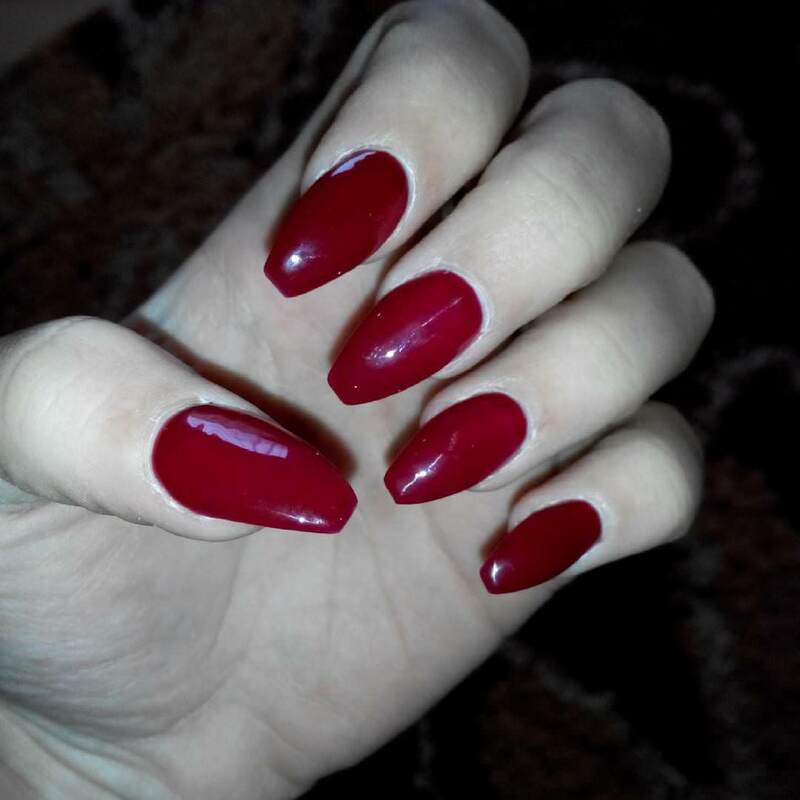 Long nails are not as easy to maintain as the short ones, many say they are prompt to braekage and prevents them from handling things efficiently, either way there are those who they cannot be without. 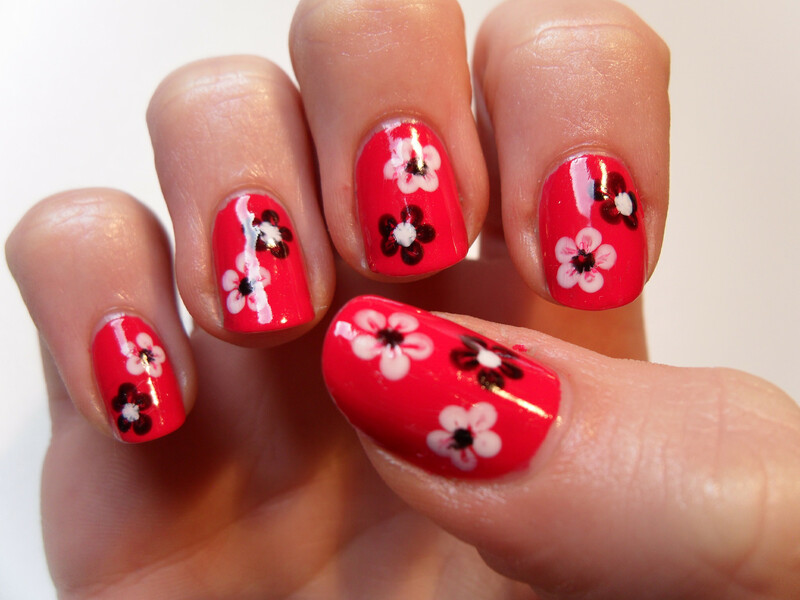 And for those prefering long nails also have selctions of designs. 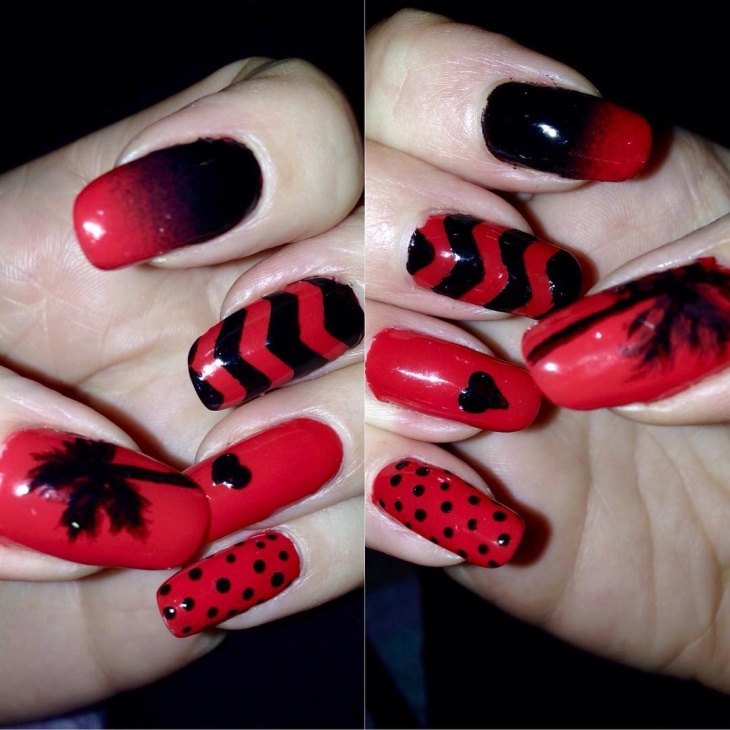 Never be left out in the lastest fashion nail color and art designs.